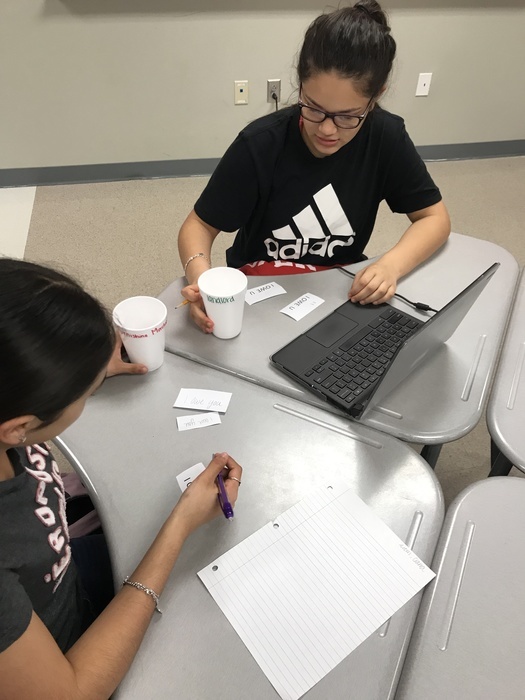 MHMS 8th grade students are working on a sharecropping simulation in class using a scenario with red chips to represent money. 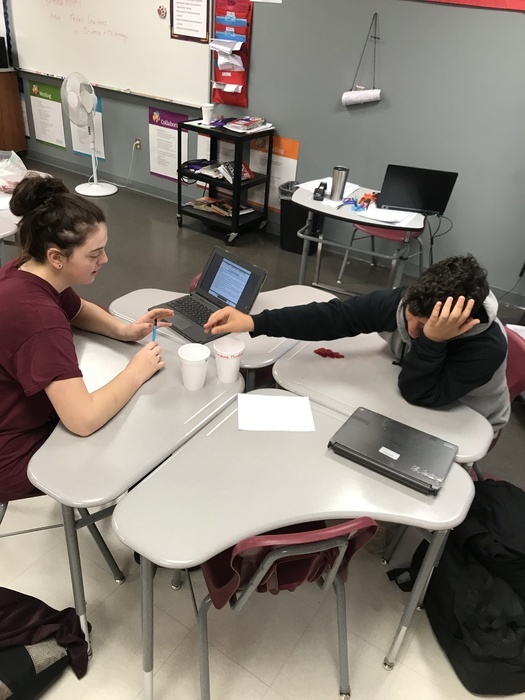 This was an activity so the students would understand the concept behind sharecropping during the Reconstruction Era. 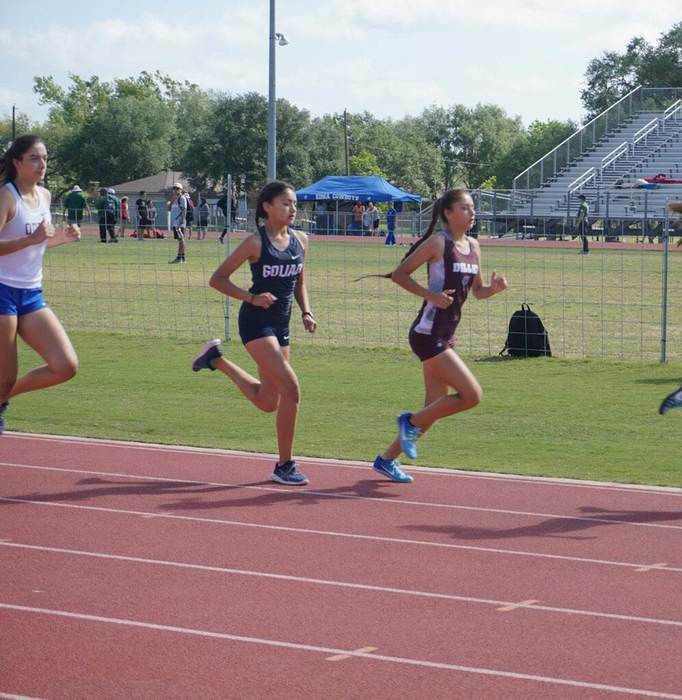 The boys and girls JV and Varsity Track teams competed for District last Wednesday and Thursday. 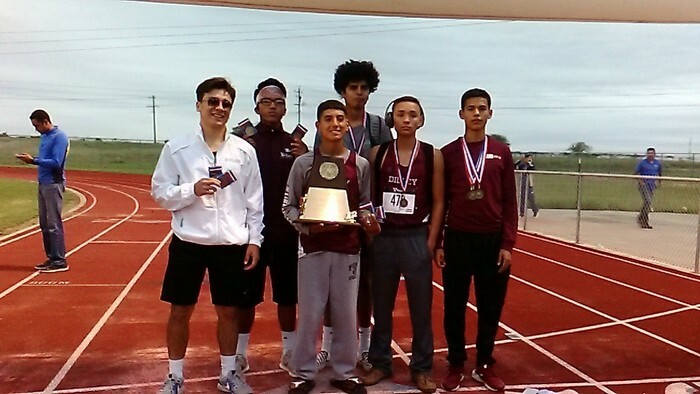 Both JV boys and girls won district champions, and boys Varsity were 2nd place. 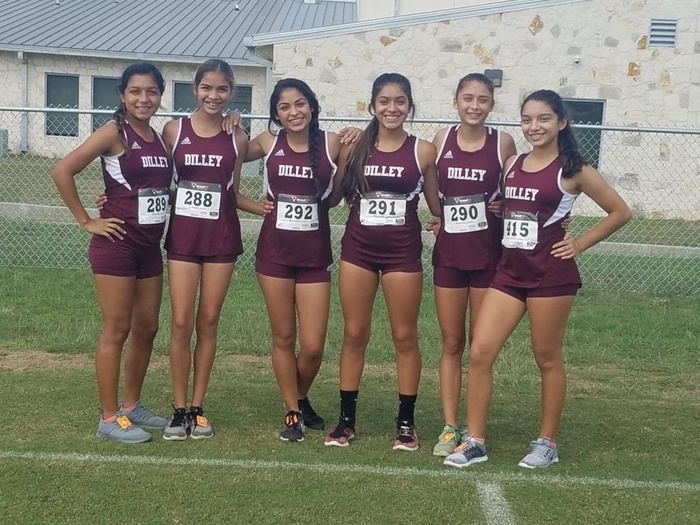 Varsity girls came in 4th place. Congratulations to our athletes who put in all the hard work and dedication! 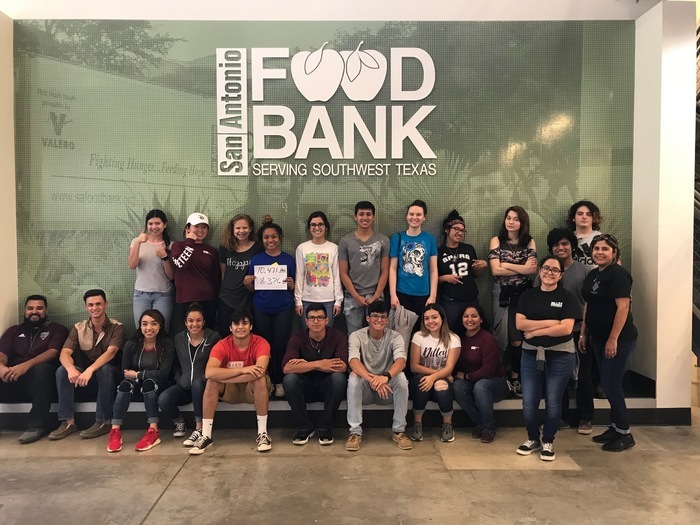 NJHS, DHS Student Council along with Communities in Schools will be hosting a Community Mobile Food Bank Pantry on Monday, April 15th starting at 9am, at the Gosch Field parking lot. An intake form needs to be filled out, please contact Juan Martinez at MHMS for more information. 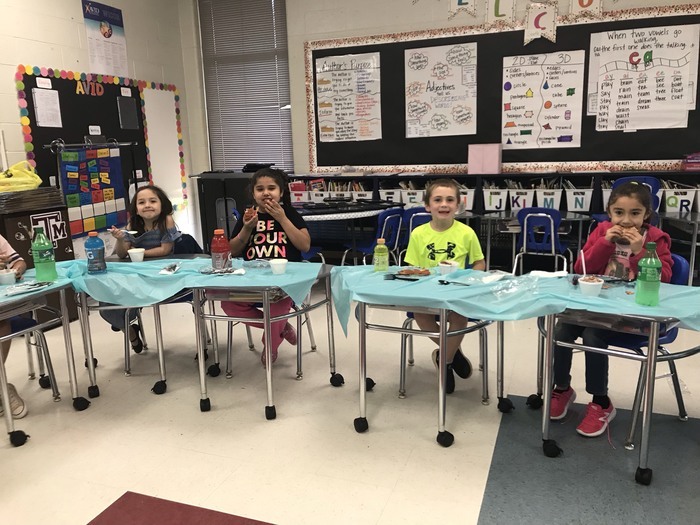 Dilley Elementary supporting World Autism Awareness Day on April 2nd! 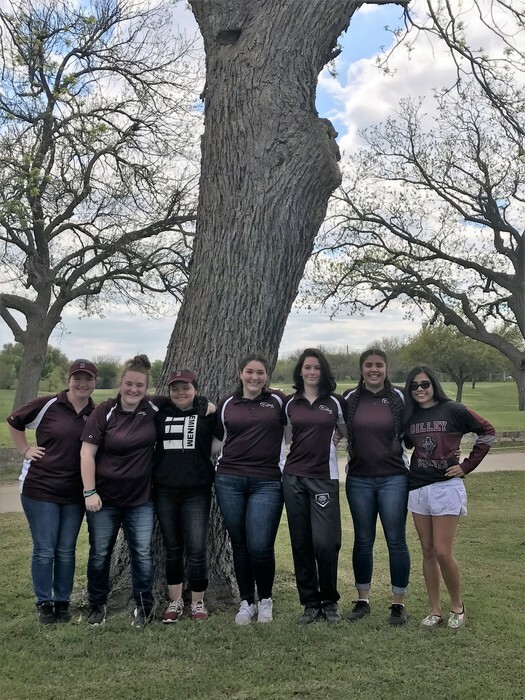 Our tennis team competed in Jourdanton on Saturday April 6th for the district meet. 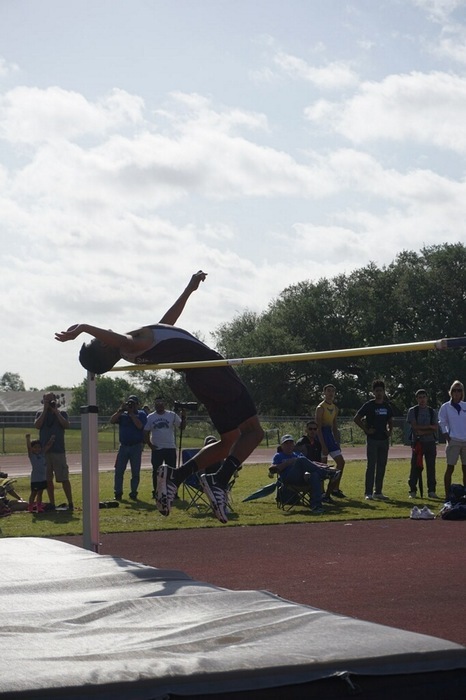 Five athletes will be presenting Region 30 District 3A in Regionals. 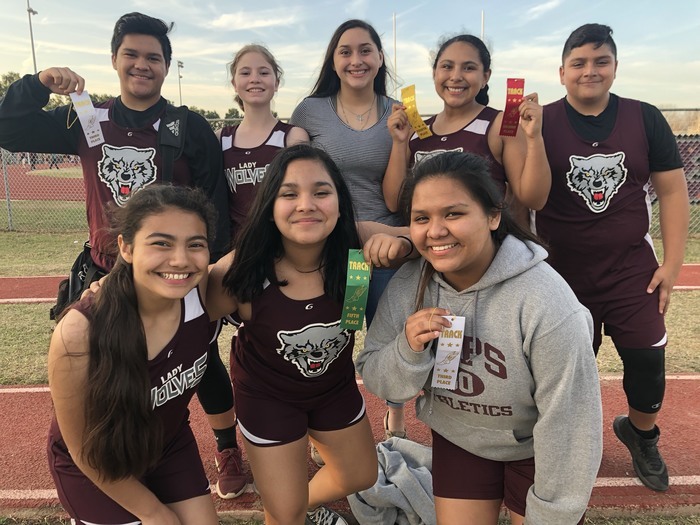 Jose Ciprian and Alexis Martinez are district runners up in mixed doubles, Angelie Alingod is district runner up in girls singles, and Rutu Bhakta & Janay Boyd are alternates in girls doubles. Skylar Bradshaw placed third in JV girls singles. We are in a very competitive district this year. 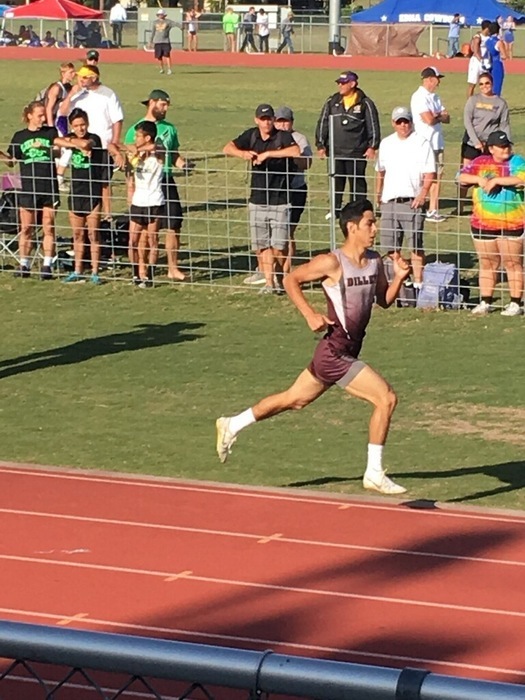 All of our boys competed well but fell short of advancing to the next level. Congratulations to the students that raised money for Pennies for Patients. 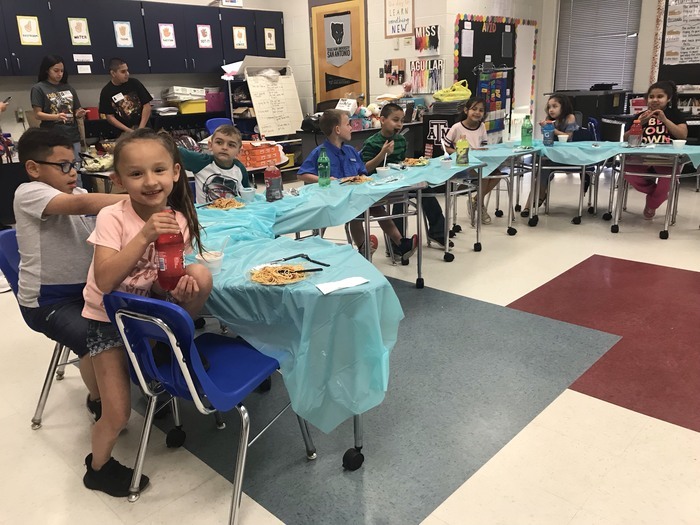 Ms. Jaynee Aguilar's class raised the most money with a total of $404.23 and enjoyed a lunch from Olive Garden in the classroom. 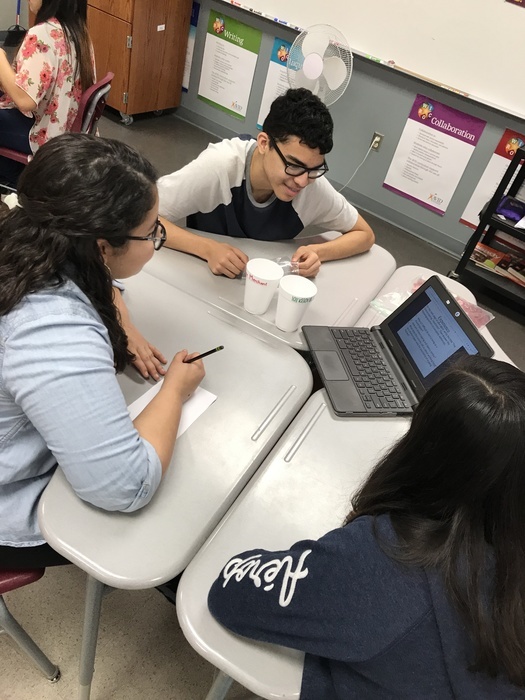 Congratulations to Mistica Perez for being nominated to be a candidate to hopefully be a recipient of the Terry Scholarship. 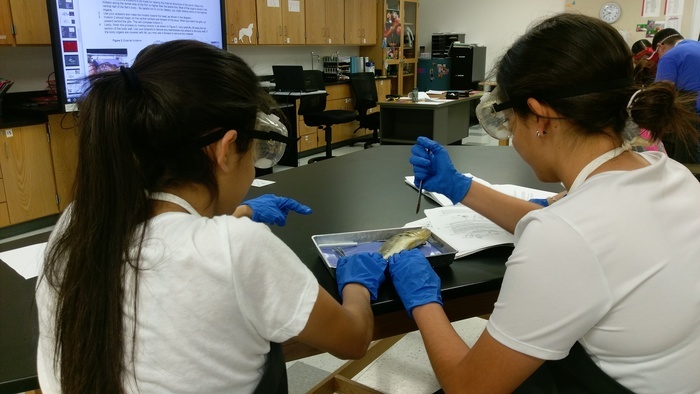 The selection of a Terry Scholar is not simply based on financial need, test scores, or grade point average. 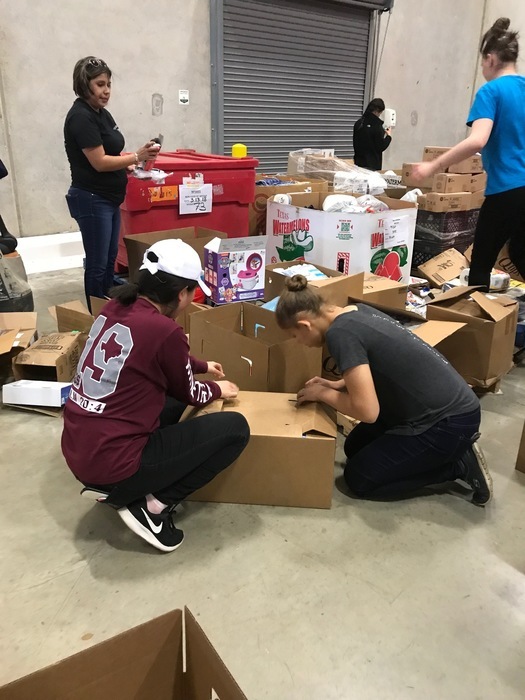 Instead, Terry Scholars are chosen because they exhibit a well-rounded personality, grounded in a desire to succeed, and a demonstrated history of community leadership. 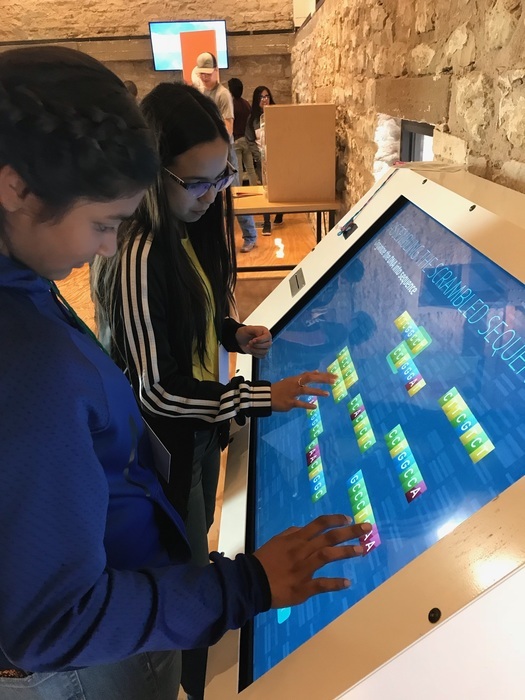 The Traditional Scholarship funds for incoming freshmen who are selected, will cover up to eight full semesters of undergraduate education and is renewable annually during that time. 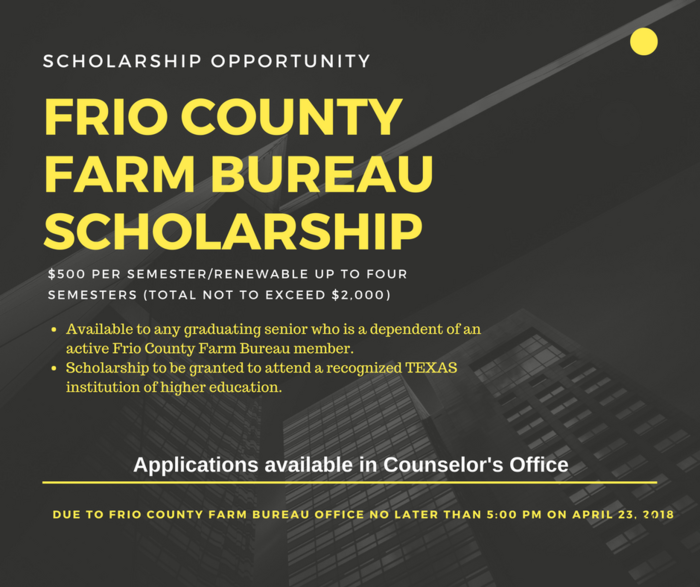 There are 30 applicants who are selected for the interview in Austin, of those 30 applicants only 12 are selected as Terry Scholar recipients. The interview process is a panel of past Terry Scholars, where a series of questions are ask about the students application, questions concerning your academic and personal background, as well as your family’s financial circumstances. 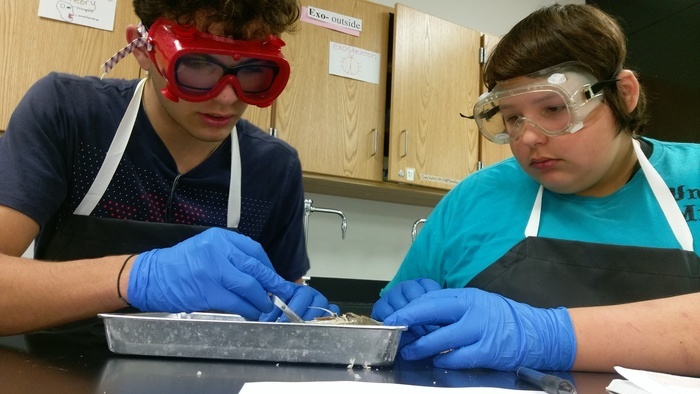 Students will be emailed results sometime in May. 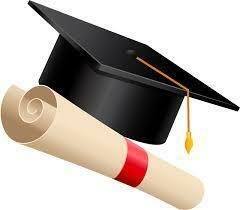 NEHS Induction Ceremony tonight has been moved to the Dilley Elementary Cafeteria @ 5:30pm. Congratulations to all the inductees! 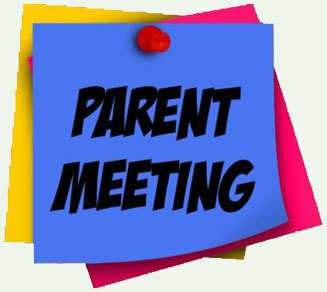 Sophomore Class Parent Meeting - Tuesday, March 26th @ 6:30 p.m. in the High School Cafetorium. Please make plans to attend. 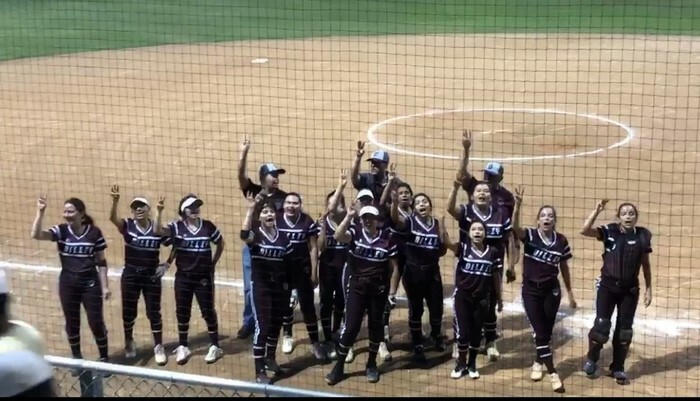 Congratulations Dilley Lady Wolves Varsity Softball Team on your win against Cotulla! 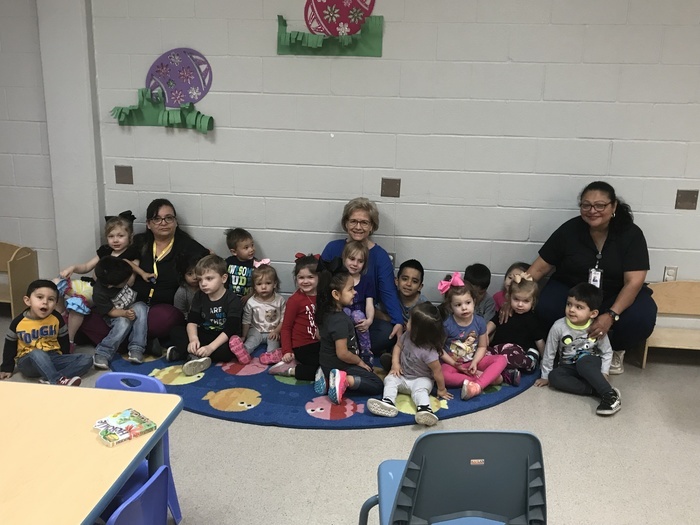 Story time at Dilley Early Childhood Center. 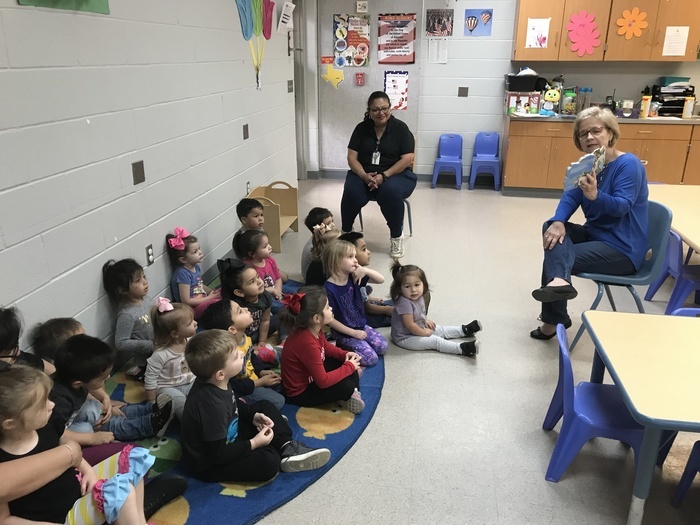 Thank you Board Vice President, Mrs. Kay Smith for attending and reading to the children. Final Substitute Training for the 2018-19 School Year! This Thursday, March 7th, as part of our Health, Wellness, and Safety Day, we wanted to make sure the community was aware that the Police Department, EMS, and a helicopter will be participating in activities near the DHS campus between the hours of 1-3 p.m. 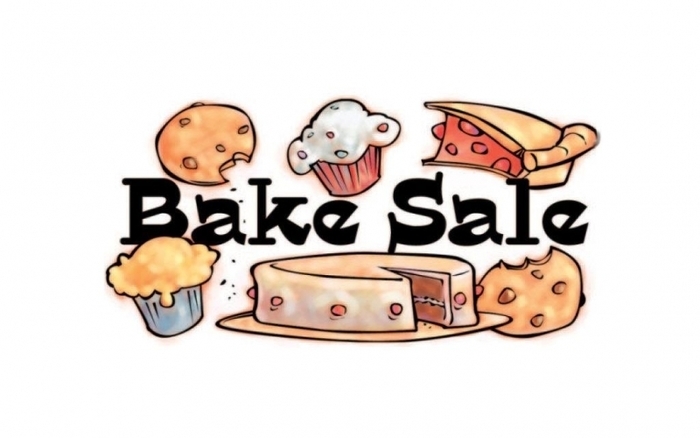 Elementary Student Council Bake Sale Where: Elementary Campus When: Friday March 8th @ 12:30 p.m. during dismissal. 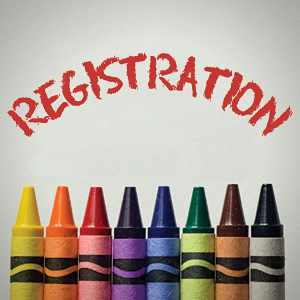 Attention Student Senior & Parents Herff Jones will be at DHS from 10a-12p on Wednesday, March 6, 2019 for ordering caps and gowns or other senior items. They will be dropping off senior rings as well. 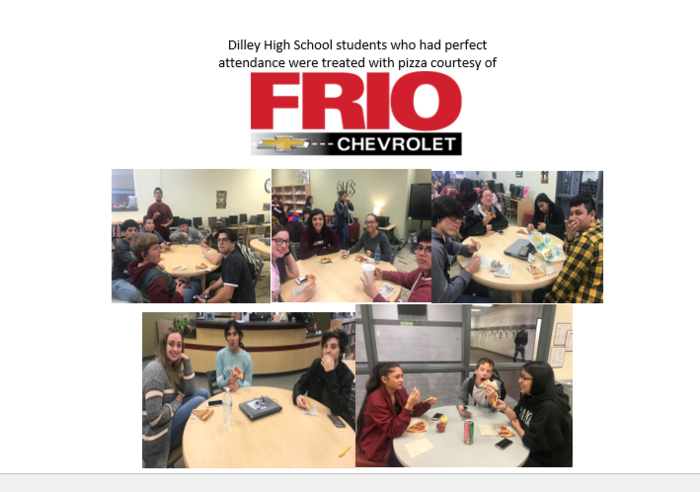 Congratulations to the DHS students who earned perfect attendance. 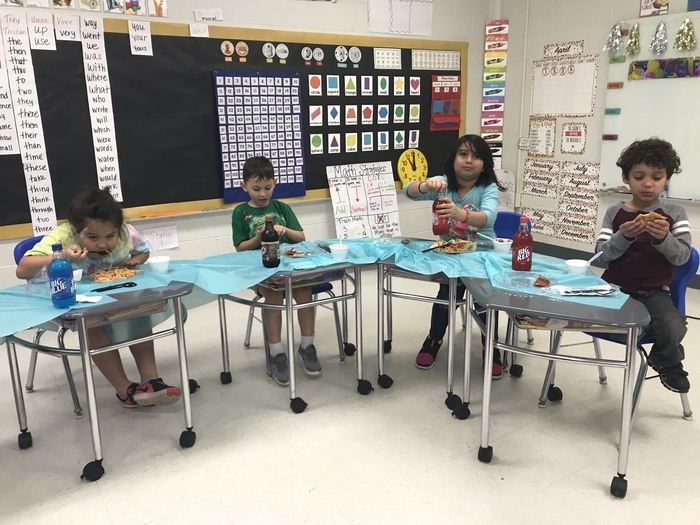 They were able to enjoy pizza courtesy of Frio Chevrolet. Wolves Bi-District playoff game will be Tuesday night in Three Rivers against Odem at 7:00p. 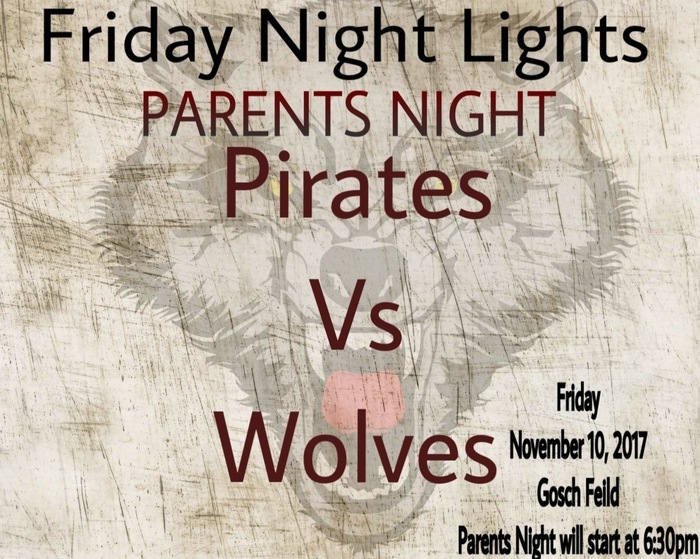 Go out and cheer for our Wolves!! 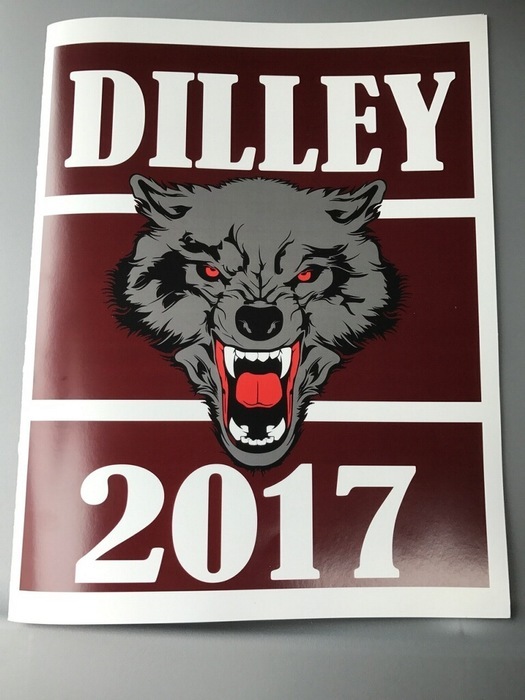 Dilley Wolves Baseball Alumni Game - Saturday, February 16th at 2:00 p.m. All former players are welcome to come play, and anyone not playing can come fill the stands! Go Wolves Go! 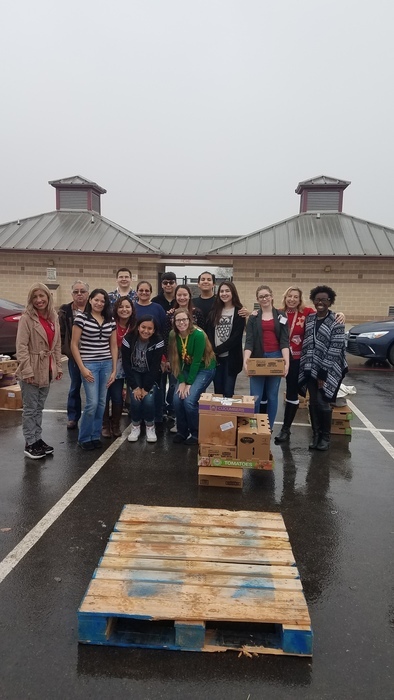 MHMS Valentine’s Deliveries! Please be informed that MHMS will not be accepting any Valentine’s deliveries until 1pm. 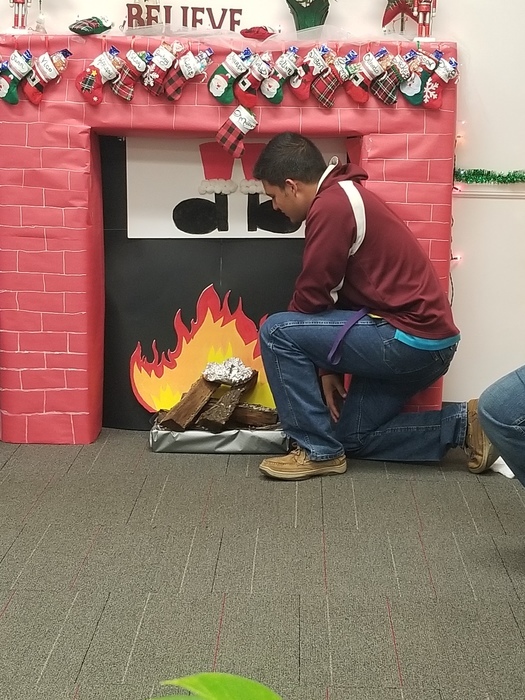 All gifts are to be picked up after school in the office. We are not responsible for any damages to the gifts. 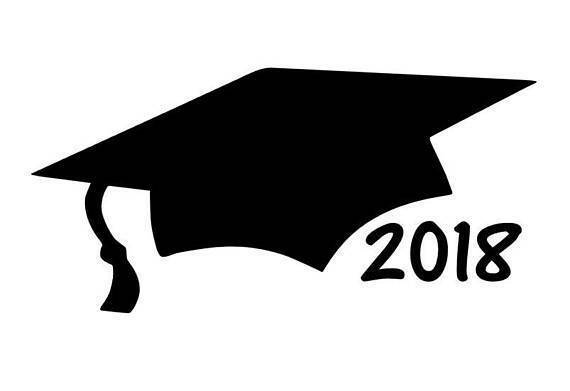 If you or someone you know that entered high school before the 2011-2012 school year and did not graduate due to not passing an exit level state assessment you may now be eligible to graduate. 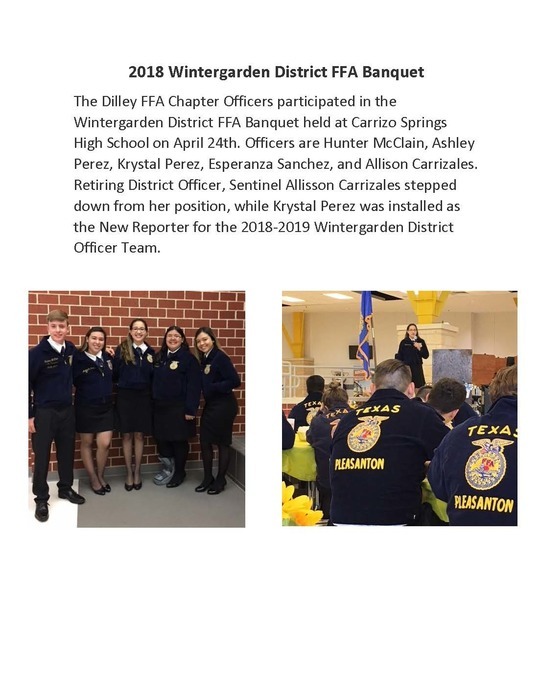 Please contact Melody Carroll at Dilley ISD at 830-965-1912 Ext. 4013. 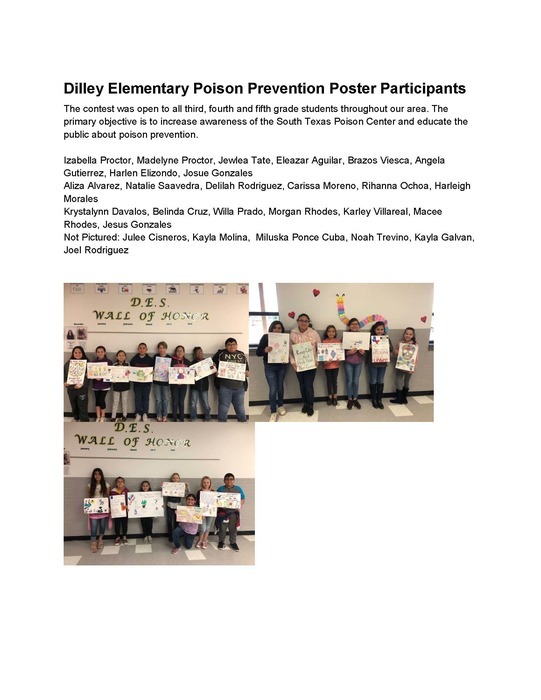 Dilley Elementary Poison Prevention Poster Participants! 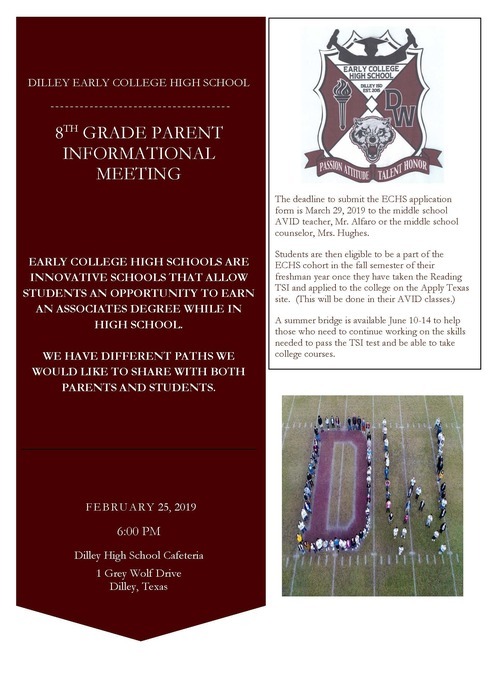 Dilley Band Booster Meeting - Monday, February 18, 2019 at 6:30 p.m. in the DHS Band Hall. All band parents are urged to attend. 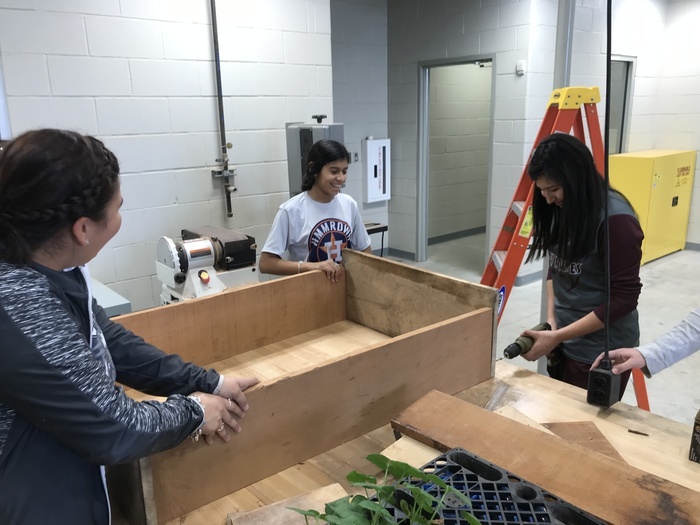 DHS Agricultural Students in floral design making flower beds from wood scraps to grow their own flowers and plants. 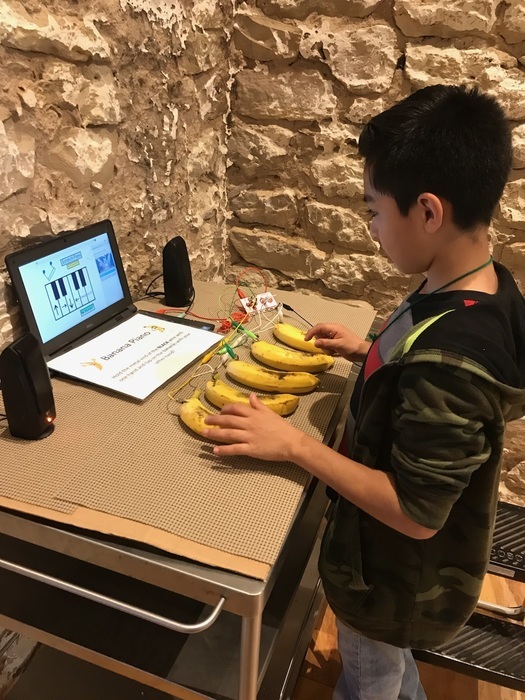 They will later use what they've grown to create arrangements. 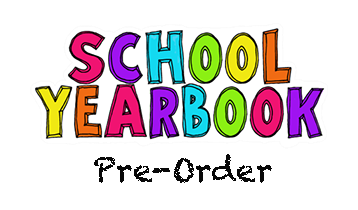 18-19 Yearbooks available to order online!! Elementary Code is #13613819 @ $20.00, DHS Code is #13077519 @ $35.00. 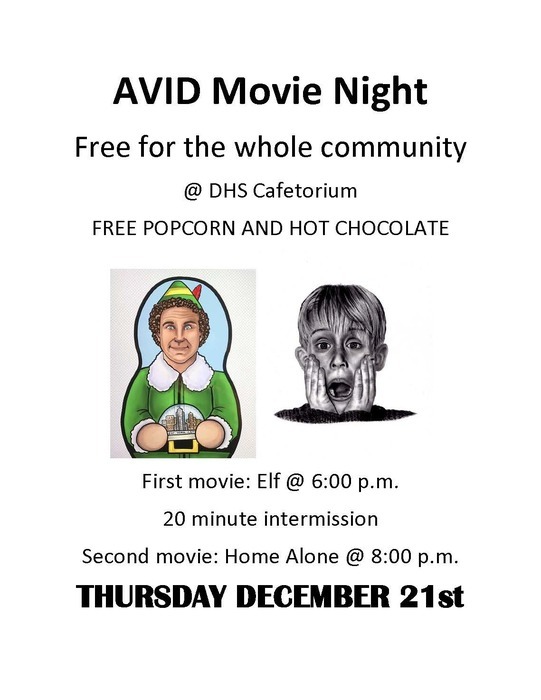 For any questions please contact Mrs. Bradshaw at DHS. 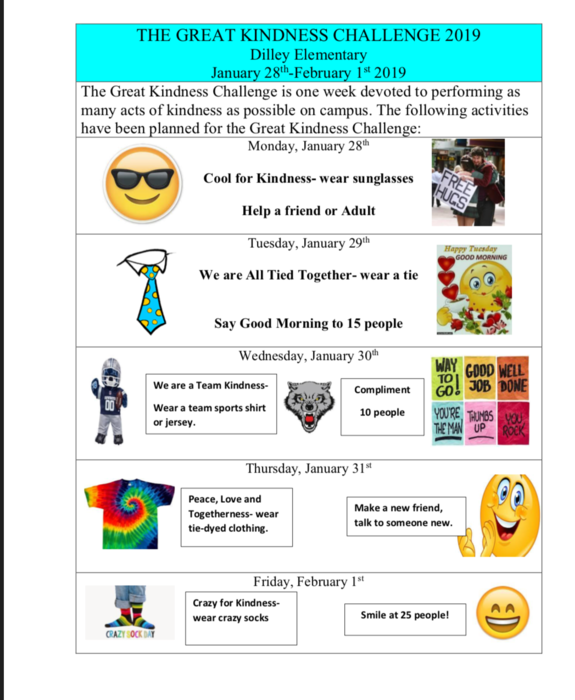 Dilley Elementary - The Great Kindness Challenge 2019 DES will be participating in this challenge. We have a schedule of activities to follow provided in the picture below. We hope that many of our students and staff can join the challenge. 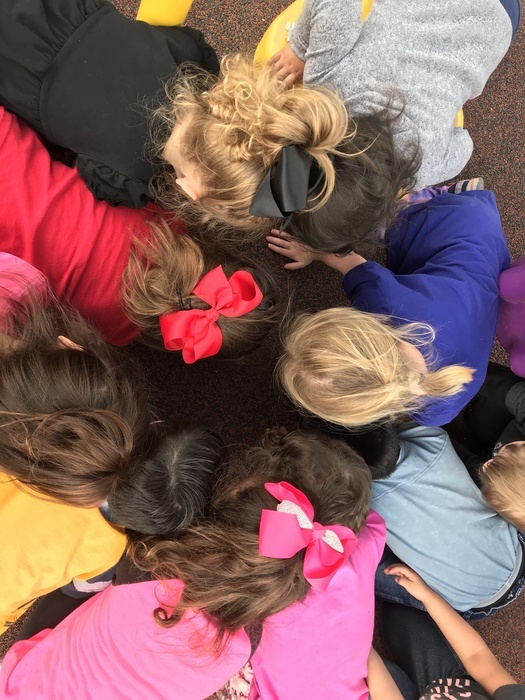 Our Elementary Students supporting National School Choice Week! 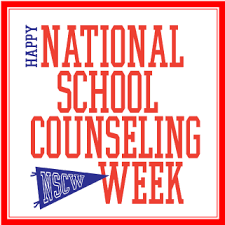 The goal of NSCW is to raise awareness about the K-12 education options available to children and families, while spotlighting the benefits of school choice. 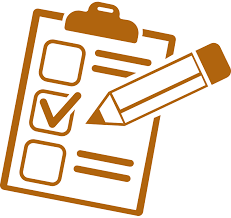 Attention Senior Students and Parents: Reminder to keep checking the High School Counselors Corner for updated scholarships and college information. 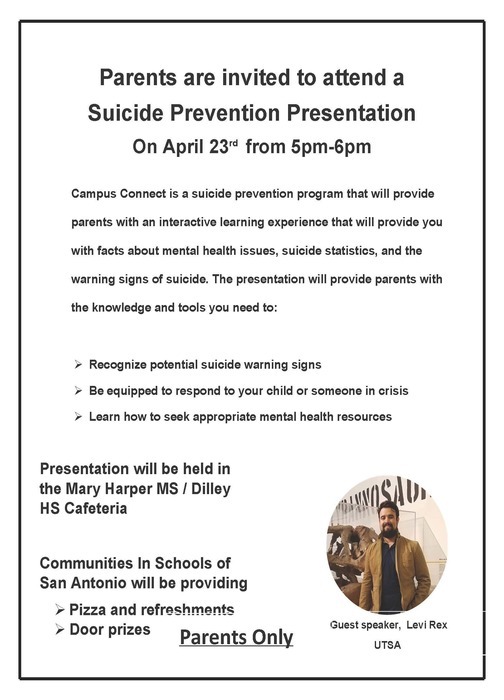 If you have any questions, please feel free to contact the High School Counselor @ 830-965-1814. Corrected date Attention Parents/Students: Letterman jackets will be sized on Thursday, January 17th @4pm at the HS Cafeteria. 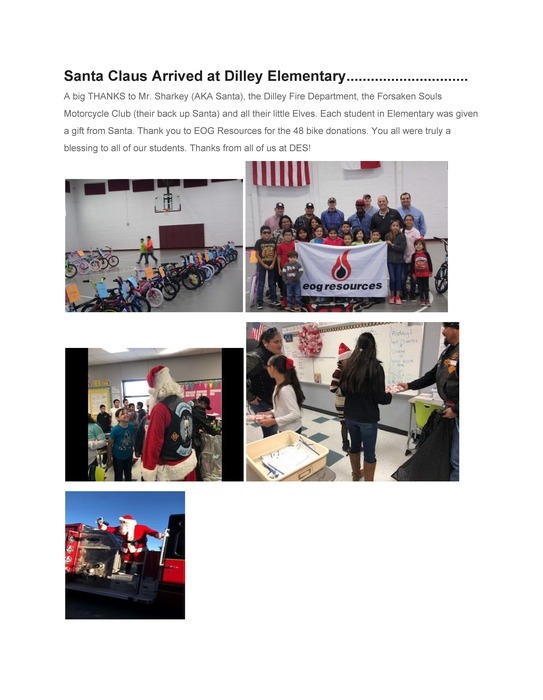 Santa Clause arrived at Dilley Elementary!! 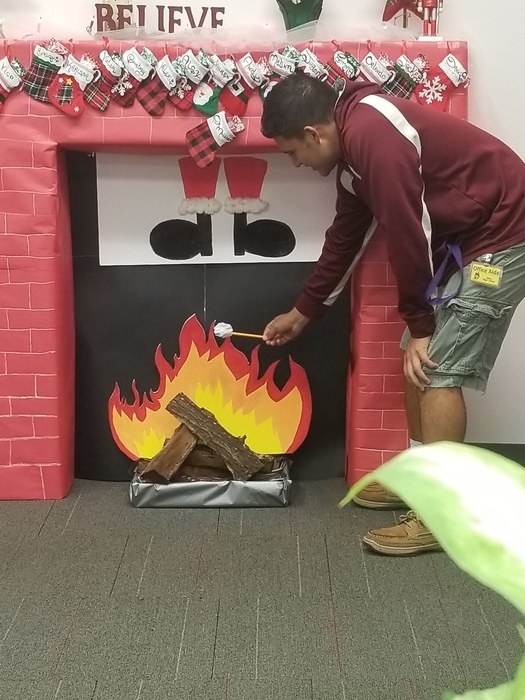 DHS Office Aides enjoying some time next to the chimney and enjoying the fire. Congratulations to all the Band students. 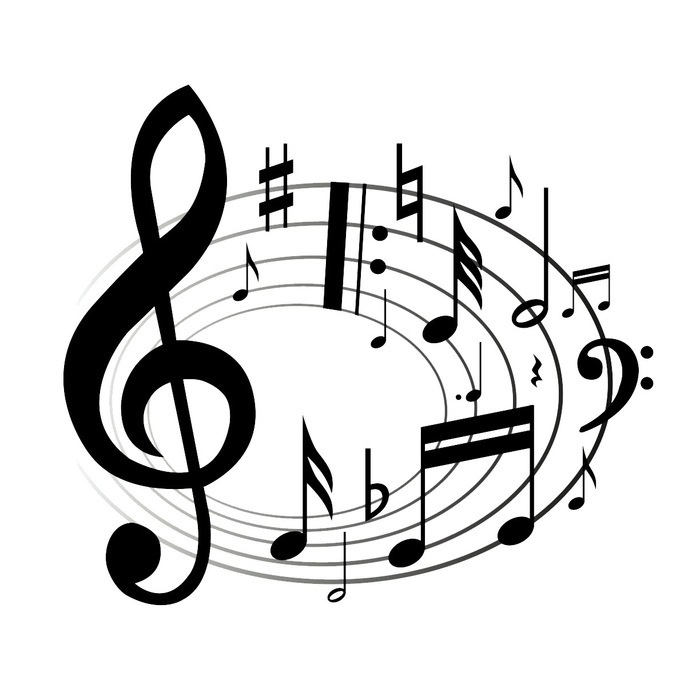 The Region Band Concert is scheduled for Saturday, December 8, 2018 at 2:00 pm, in the Pleasanton HS Auditorium. The public is invited. DES Coat Closet has many sizes of coats to choose from! 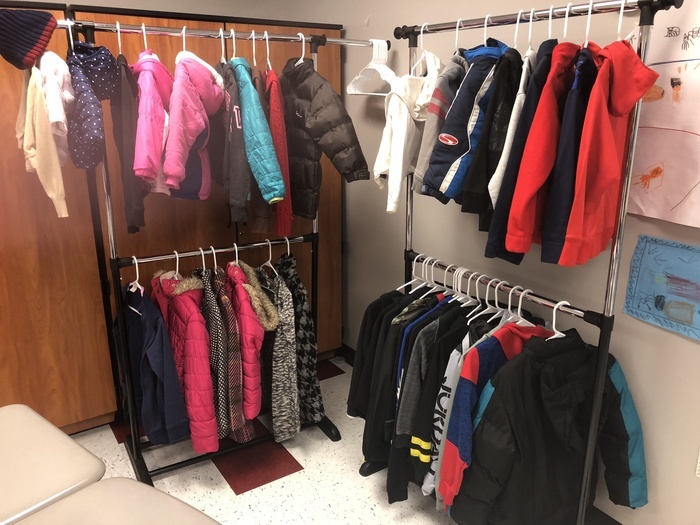 Any children who are in need of a jacket, please visit the Dilley Elementary campus to receive a gently used donated jacket. 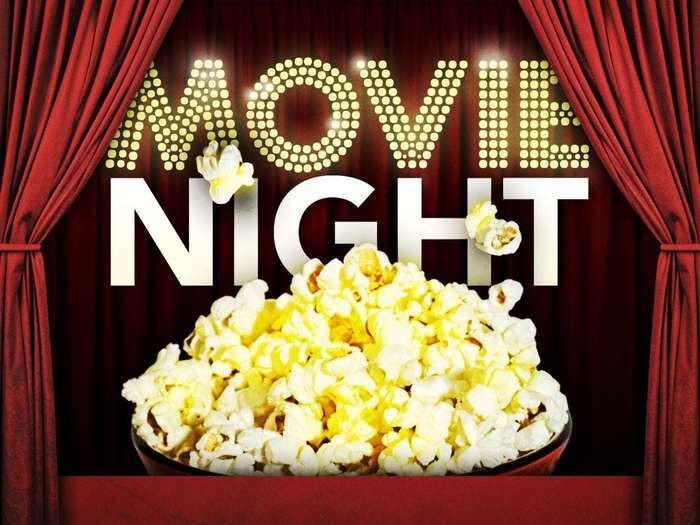 AVID Movie Night When: Monday, December 3, 2018 Where: DHS Cafetorium Time: 6:00 PM Movie: The Polar Express We hope to see you there, free popcorn & snacks! 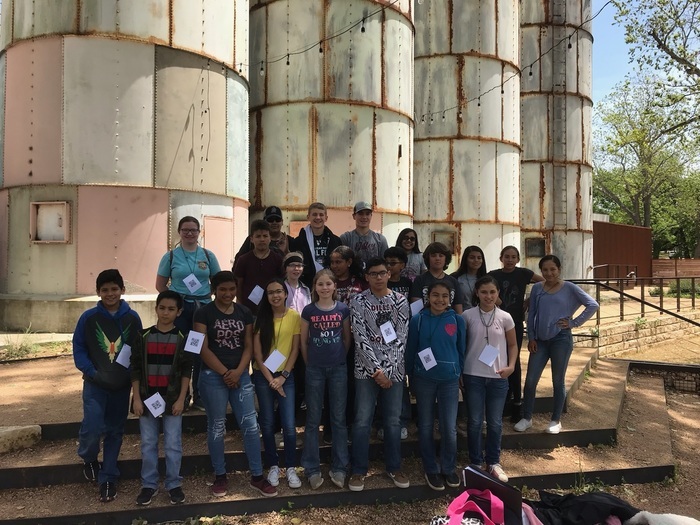 Pictures of DHS Biology students that took a field trip to the Hondo Corn Maze on Thursday, November 8, 2018. 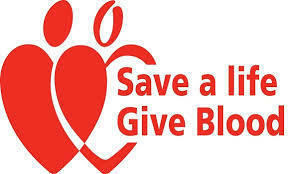 A Community Blood Drive will be held on Thursday, Nov. 29th from 8:30 a.m. to 3 p.m. on the stage in the High School Cafeteria. Please make sure to bring proper Identification. DHS will be hosting a community wide Pep Rally this Thursday November 15th at 6:30 pm in the High School gym! Hope to see you there!! Go Wolves Go!! 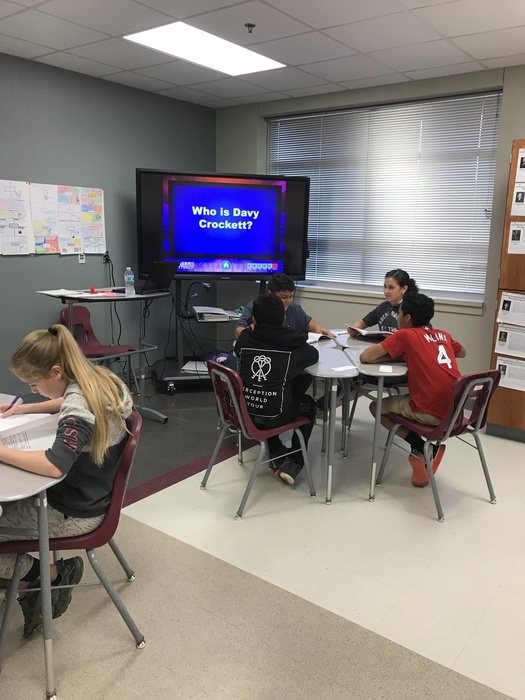 MHMS 7th grade students playing jeopardy as a review for Unit 5. 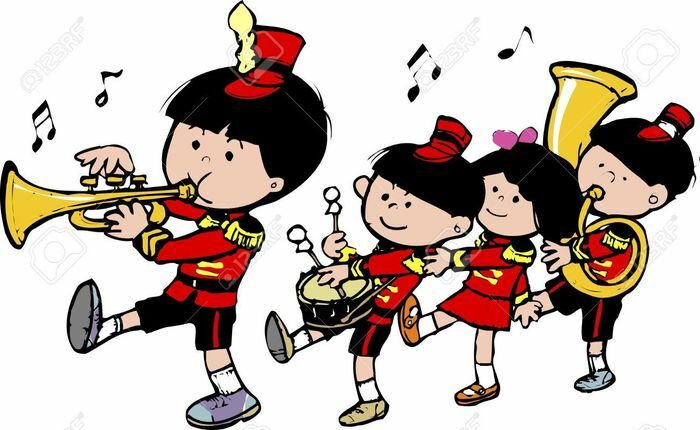 Band Booster Meeting on Monday, Nov. 12th, beginning at 6:00 pm, in the Band Hall. All band parents are highly encouraged to attend. We look forward to seeing you! 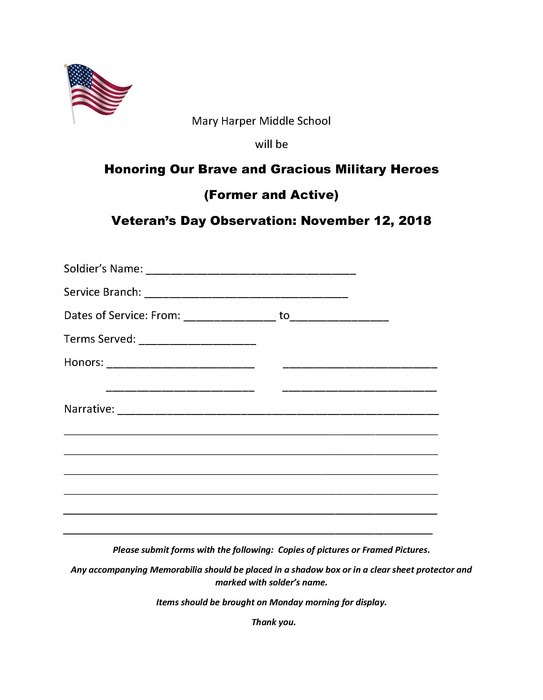 Mary Harper Middle School will be Honoring Our Brave and Gracious Military Heroes (Former and Active) on Veteran’s Day Observation: November 12, 2018. 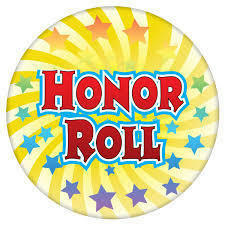 If you would like to have someone honored, please submit the form to MHMS. MHMS Campus will allow quiet mums today. 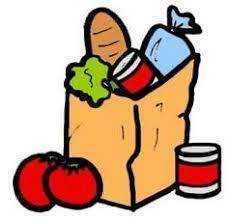 Any deliveries will be accepted but not given to the students until the last part of the day. Thank you for your cooperation Go Pups Go!! 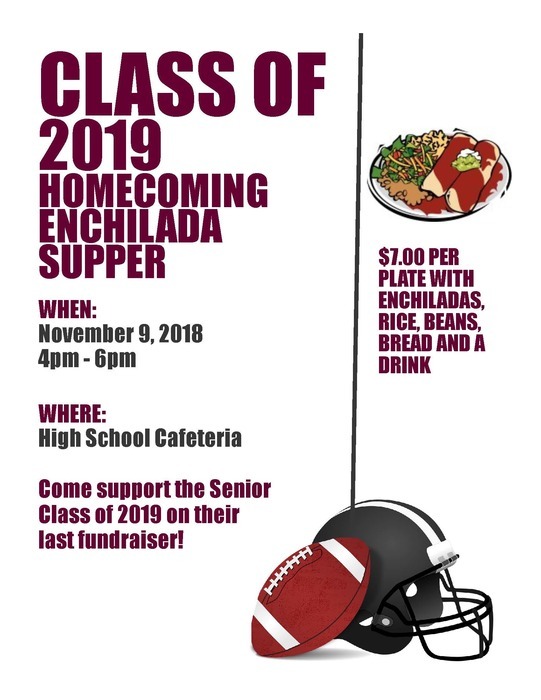 Class of 2019 Homecoming Enchilada Plate Sale! 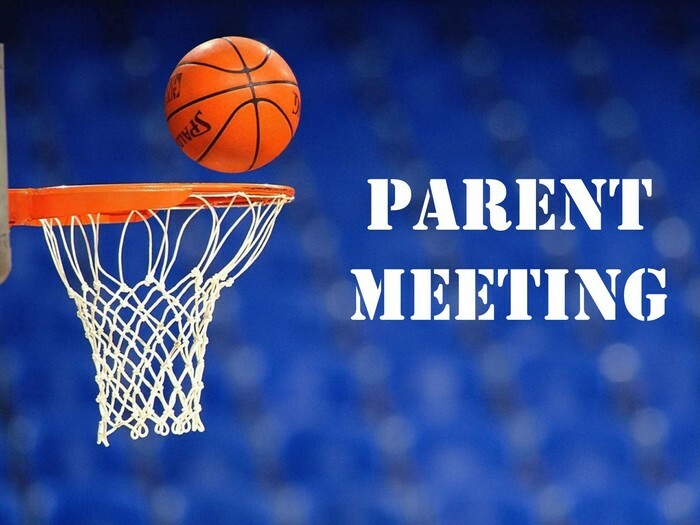 Attention Parents/Guardians: A parent meeting for High School and Middle School boys basketball will be held on Monday, November 12th at 7:00 PM at the High School Cafeteria. Please make plans to attend. 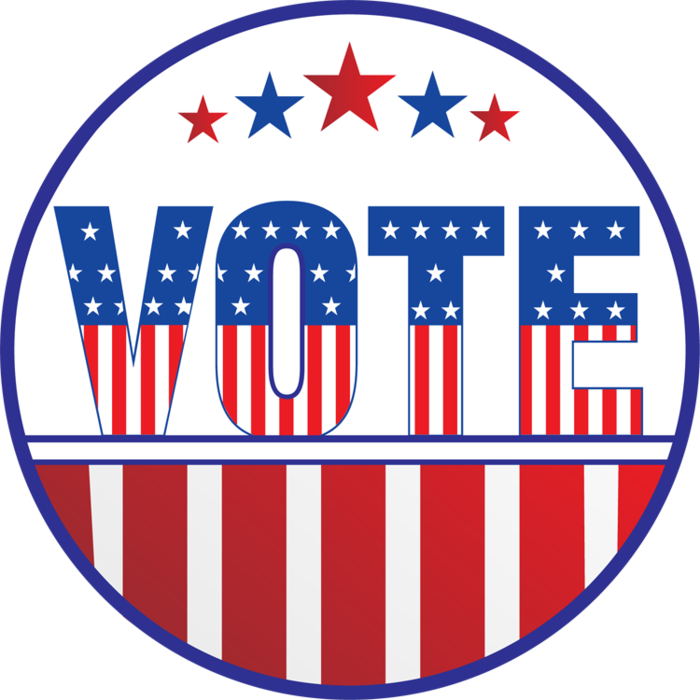 Dilley ISD Board of Trustee Election Day The polling places are as follows: Precinct 1 & 5 @ Methodist Church - 302 Center St. in Cotulla, Box 9 @ Frio Annex Building - 101 N Commerce, and Box 10 @ Old Dilley Public Library - 231 W FM 117. The hours are from 7am to 7pm. 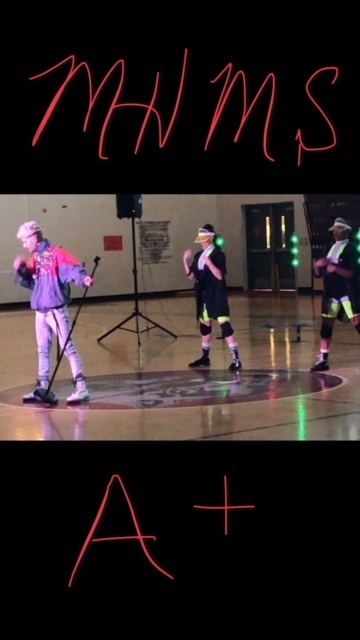 Anti-Bullying Assembly with J Love me Dance Crew. 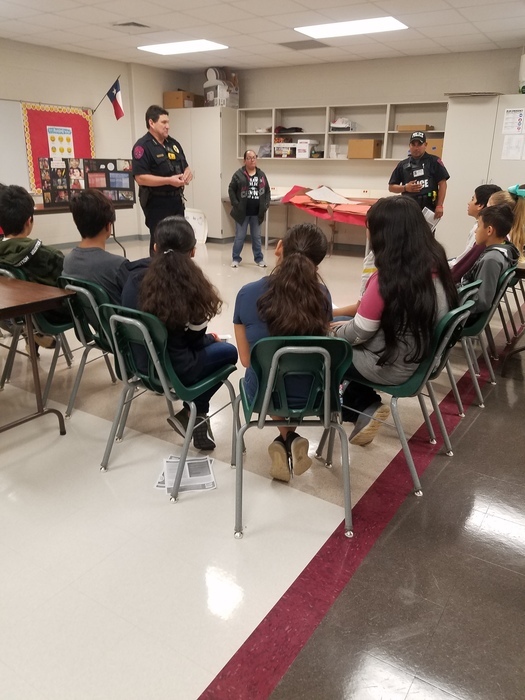 Thank you to Dilley Police Department for giving a bullying prevention presentation to MHMS Students. 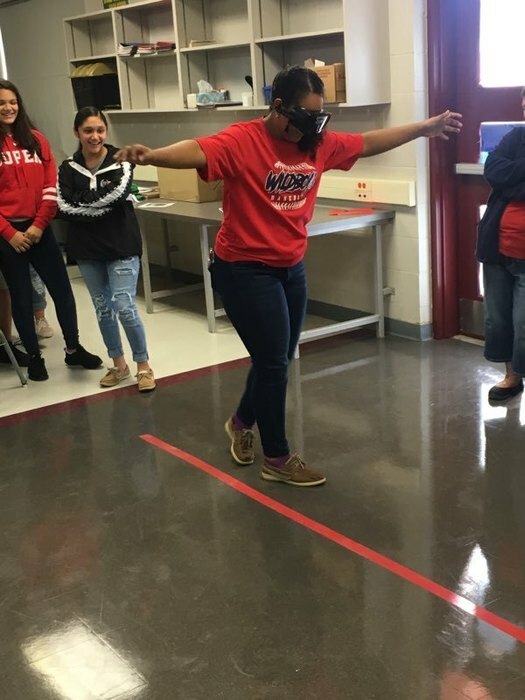 Frio Regional Hospital is showing the students the fatal vision goggles which help demonstrate what it's like trying to drive while drunk. 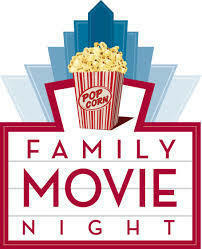 Dilley PTO will be hosting Family Movie Night "Coco" on October 29th at 6:00 p.m in the Elementary Cafeteria. All are welcome!! Attention Athletes & Parents! There will be a mandatory basketball meeting on Monday 10/29 at 7pm in the HS Cafetorium for Junior High and High School female athletes and parents. 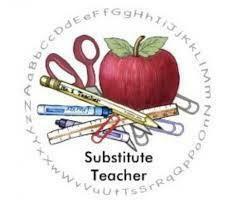 Substitute Training for the month of October will be scheduled for October 30, 2018 from 9:00 am-12:00 pm at the Administration Office 245 W FM 117. 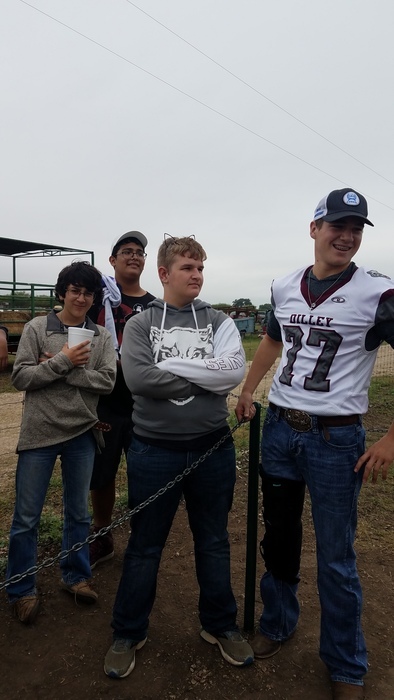 Attention all Dilley ISD Community: The MS and JV Football games for tomorrow, October 25th will be played in Dilley. The games will start at 5:00 p.m. If you have any questions, please contact the Athletic Director. All sub varsity football games vs Poth on November 1st will be in Dilley. Varsity game on November 2nd will be at Falls City. Changes due to a stadium light pole leaning towards game field. If anyone is interested in purchasing a yearbook for the year 2016-17, they are on sale for $15.00 (originally $35.00). You can purchase them at the high school. 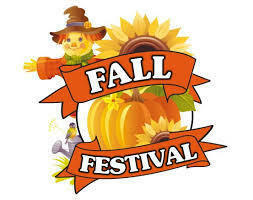 Dilley Elementary School will be having their Fall Festival today in the Elementary cafetorium due to the inclement weather. Please come out and support our school from 4:30 to 7:00. 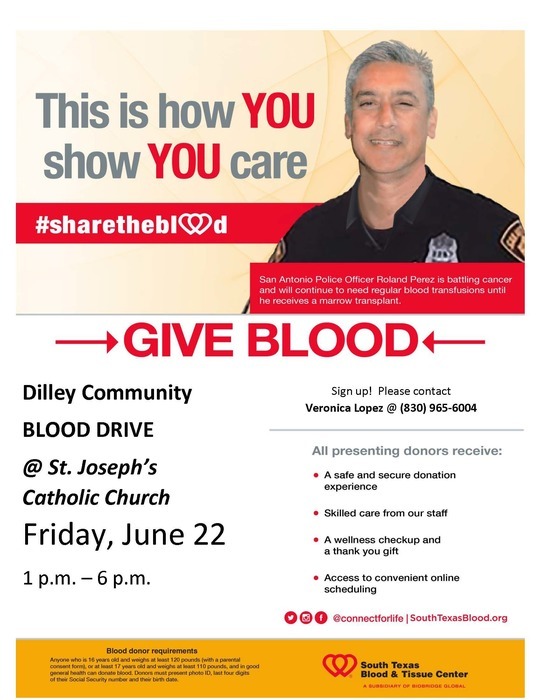 There will be Food, Fun and Games so come out and have a great time with Dilley Elementary. 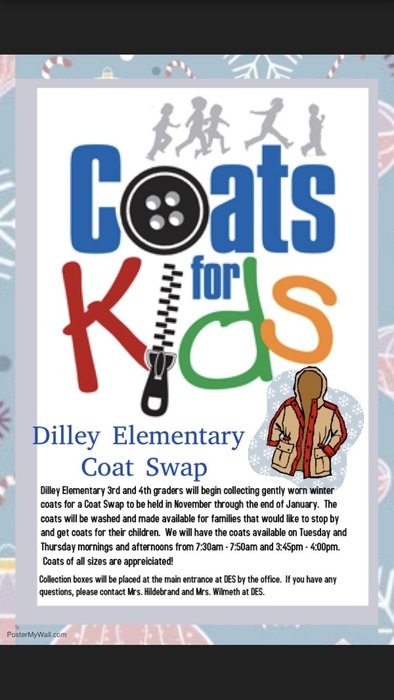 Dilley Elementary Coats for Kids! 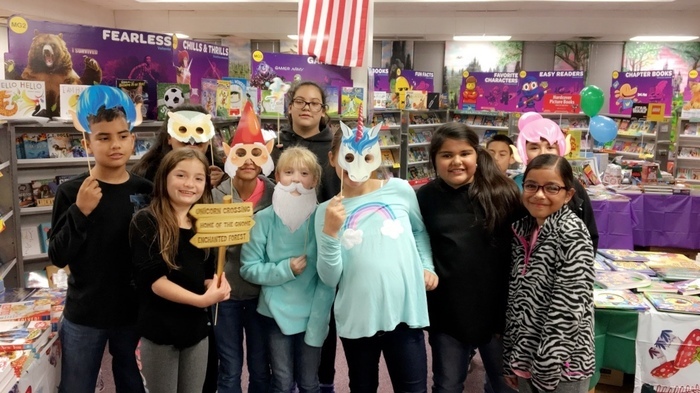 Elementary Students enjoying the DES Book Fair Enchanted Day 2! 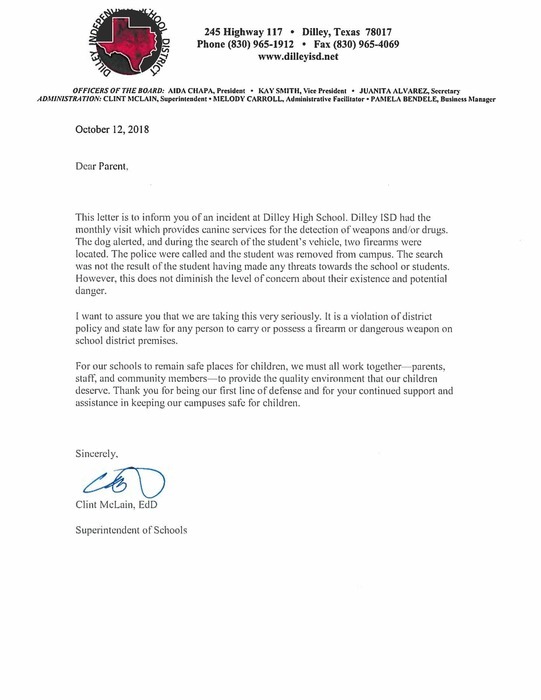 Dilley ISD Letter to the Public. 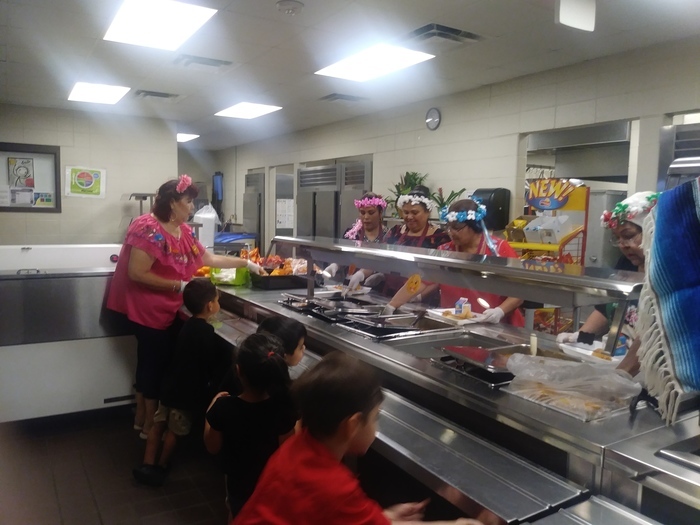 The A+ Food Service that is contracted through Dilley ISD is now hiring for (1) cook and (1) kitchen assistant. 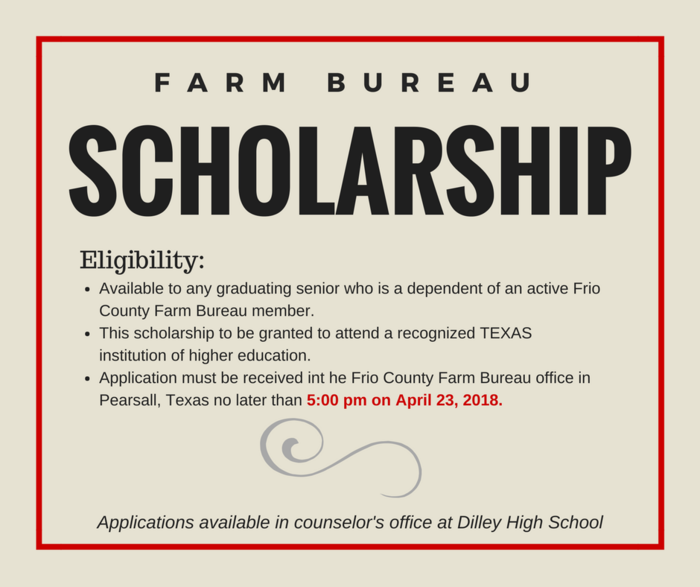 To apply, please go by the Dilley ISD Administration building or contact Rosaura Salazar at (830)965-1912 ext. 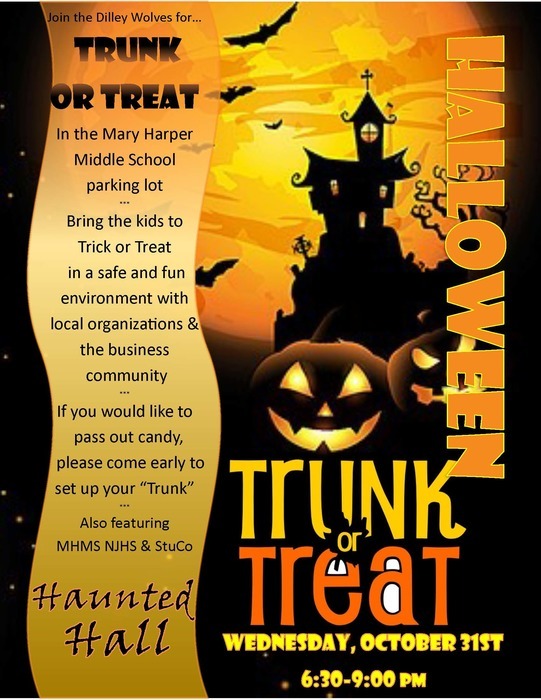 4006 between the hours of 7:00 a.m. - 3:00 p.m.
Mary Harper Middle School NJHS & Student Council will be hosting a Trunk-or-Treat and Haunted Hall, October 31st. 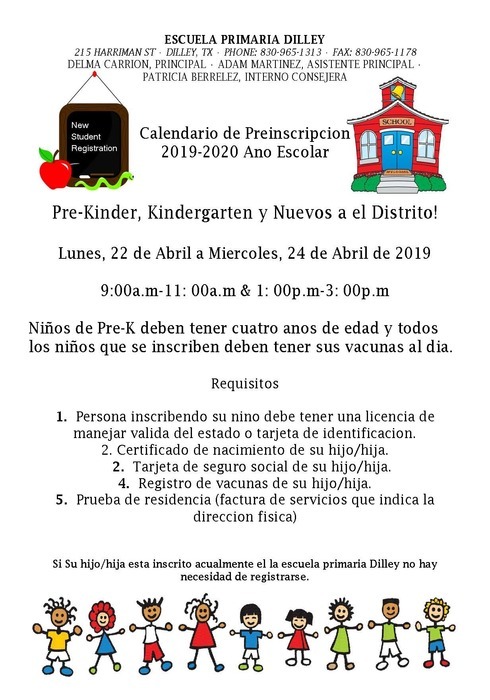 For any questions please email Cassandra Rodriguez at cassandra.rodriguez@dilleyisd.net, or Tammy Bishop at tammy.bishop@dilleyisd.net. 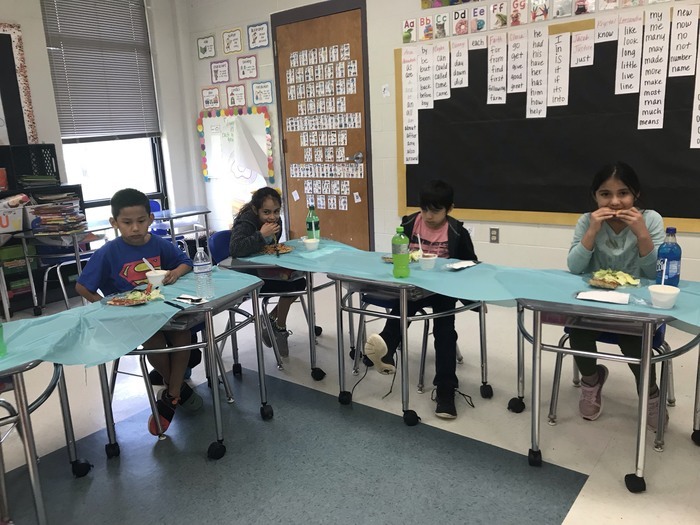 Our regularly scheduled School Board Meeting for the month of October, will be on October 22, 2018 starting at 6:30 pm. 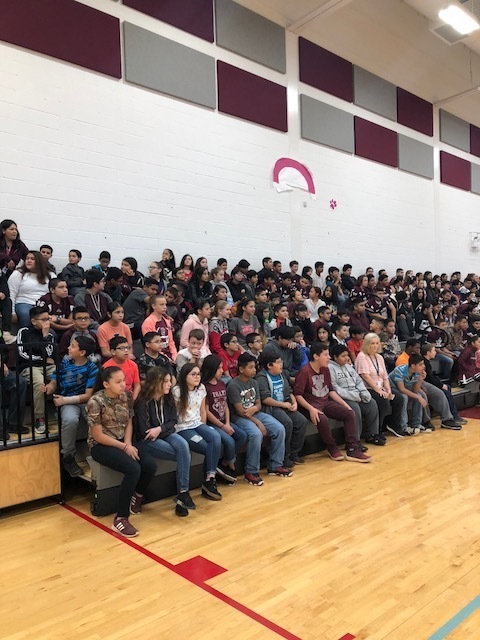 The Dilley Might Grey Wolf Band will be performing their UIL marching show in Hondo, October 13, 2018 at 3:45 pm. Please come out and support our Band! There will also be a Band Booster meeting October 9, 2018 at 6:00 pm in the Band Hall. 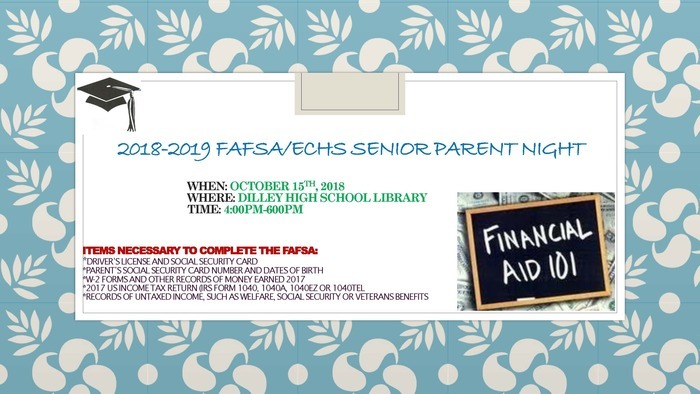 2018-19 FAFSA/ECHS Senior Parent Night! 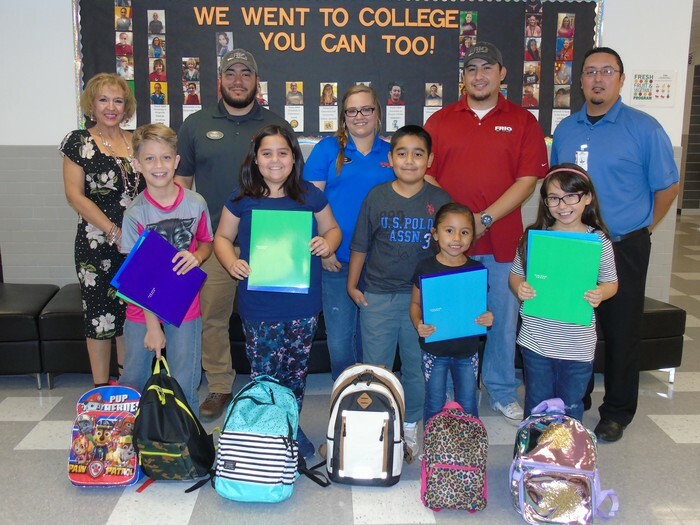 Thank you Frio Chevrolet for your generous donations of school supplies to the students of Dilley ISD! 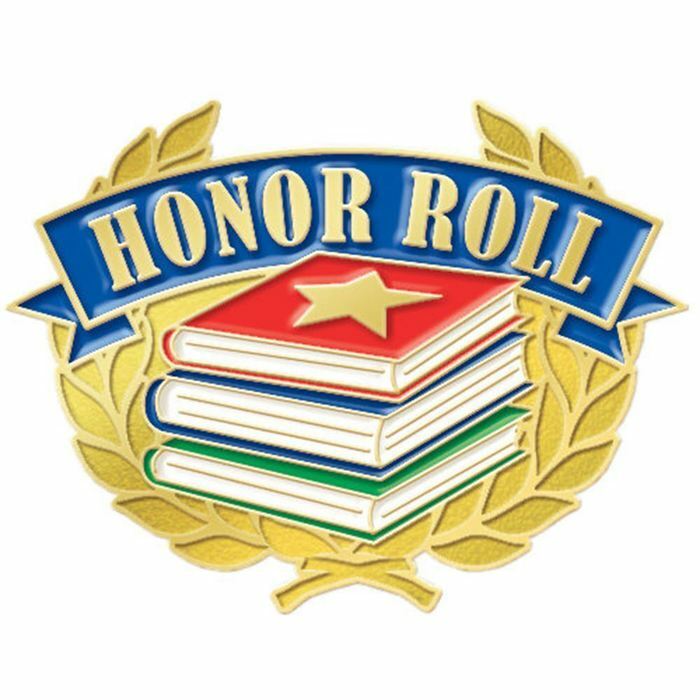 District Wide Report Card night will be Thursday, September 27, 2018 from 4:30pm - 6pm. Locations will be: Elementary- Elem Cafetoruim MHMS- MHMS Foyer DHS- DHS Cafetorium. 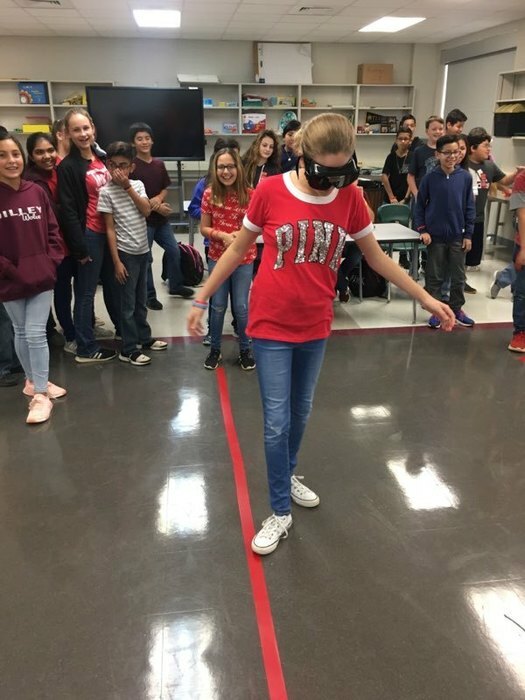 DHS AVID will also be having a minute to win it event. Hope to see you there!! 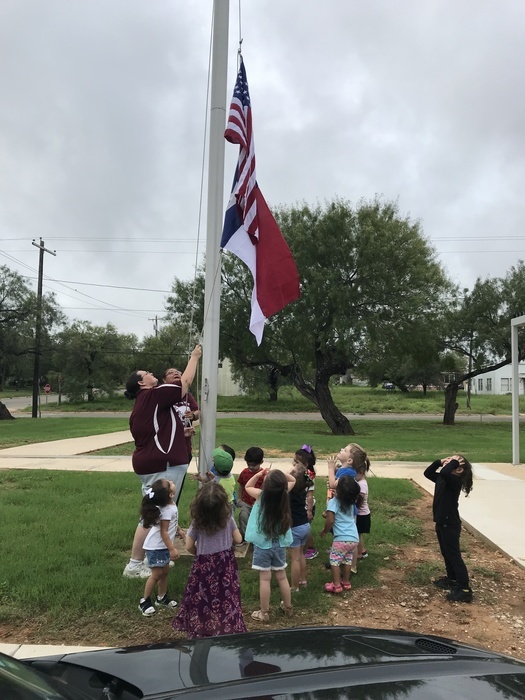 Our Early Childhood Center kids helping raise the flags at the new Activity Center. Just a reminder that there will be no school tomorrow September 21st. due to a Staff Development Day. Everyone have a safe and great weekend! 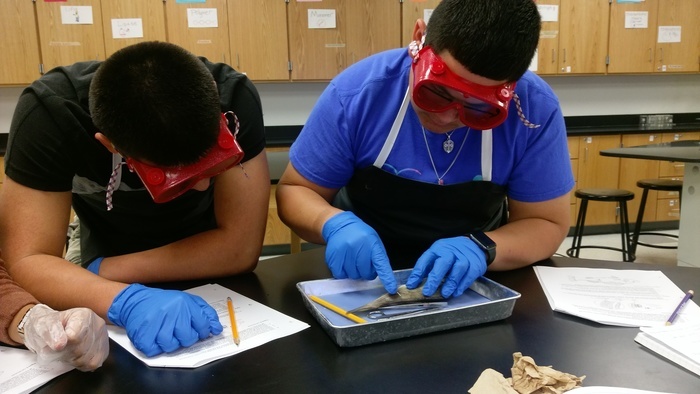 The DHS Mighty Grey Wolf Band will compete at the Cotulla Cowboy Roundup on Sept. 29th, at 1:20. Fans are encouraged to go and cheer the bands on! The competition begins at 8am - 3:30pm. Fans should park in the Cotulla High School parking lot and enter through the main gate. Important Information: The Cross Country Meet for Saturday September 15th has been cancelled due to weather. Important Information: Due to weather - the Varsity Football Game has been moved to Thursday, September 13th @ 7:30 p.m. and the Middle School/JV games have been rescheduled to Saturday, September 15th starting at 9:00 a.m. (weather permitting). Grand Opening! 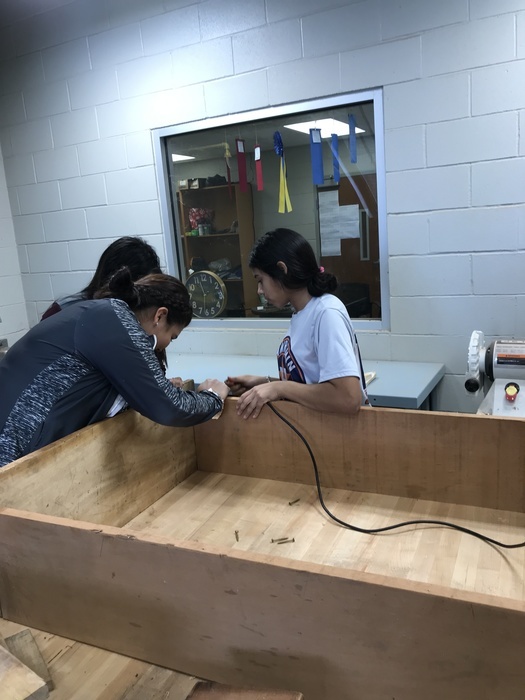 Dilley ISD invites you to the ribbon cutting of the "New Dilley ISD Activity Center" on Monday, September 17, 2018 - 6:00 p.m. at the Old Mary Harper Middle School. We hope to see you there! A friendly reminder for anyone that will be attending the Pep Rally tomorrow at the High School, will need to bring their Driver's License to present at the front desk. For any questions please contact the HS at 830-965-1814. Grand Opening! 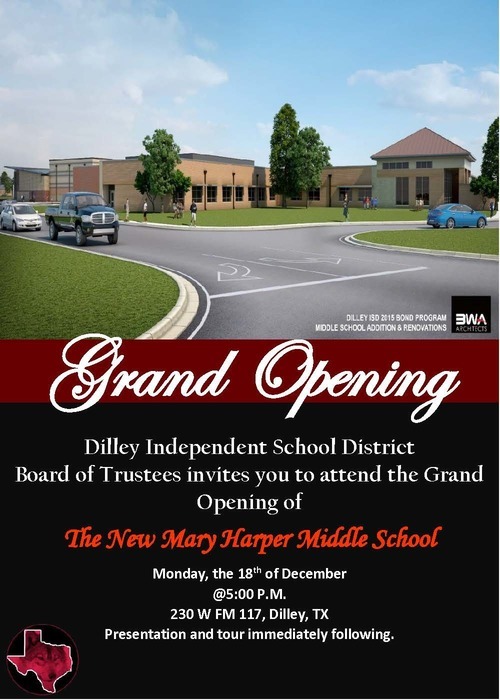 Dilley Independent School District Board of Trustees invites you to attend the Grand Opening of The New Activity Center. 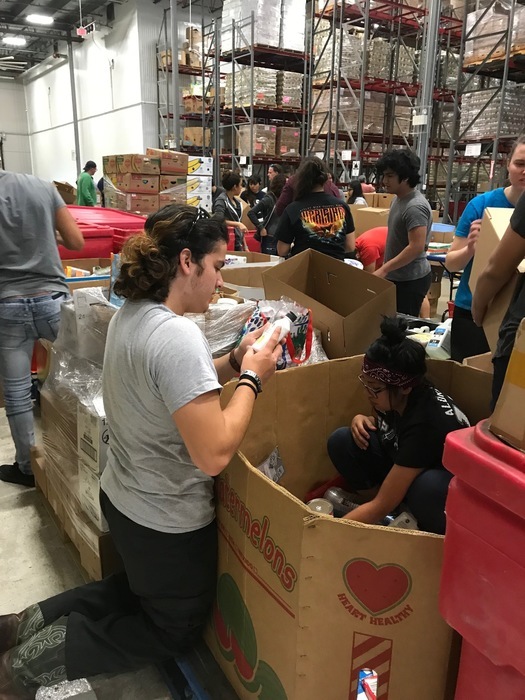 Date/Time - Monday, September 17, 2018 at 6:00 p.m Location - Old MHMSl at 208 W. Curtis St. Presentation and tour immediately following. 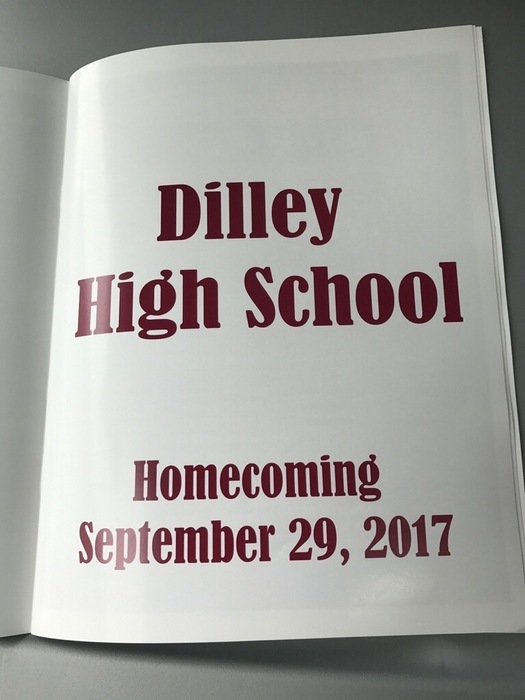 Attention Citizens of Dilley: Please make sure to bring a form of Identification with you, if you are planning to attend any Pep Rally at the High School. Thank you for your cooperation. Go Wolves Go!! Attention Junior High Female Athletes: First day of practice is Wednesday, August 15th from 4:30p-6pm at the Elementary Gym. If you are an incoming 7th grader or new to the district, please make sure you have a physical on file. 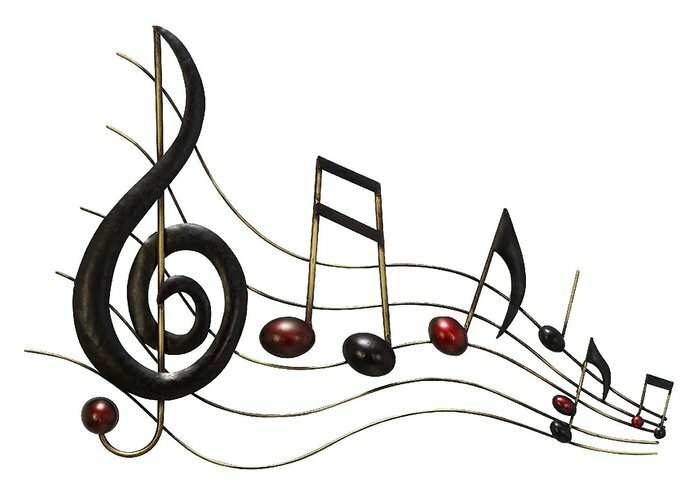 The Dilley Band Boosters will meet on August 16th, 2018 at 6:00 pm, in the DHS Band Hall. 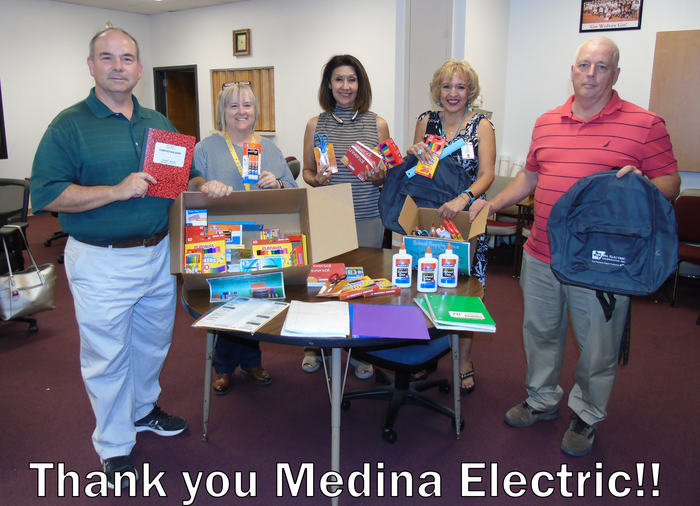 Thank you Medina Electric for your generous donations of school supplies to the students of Dilley ISD! 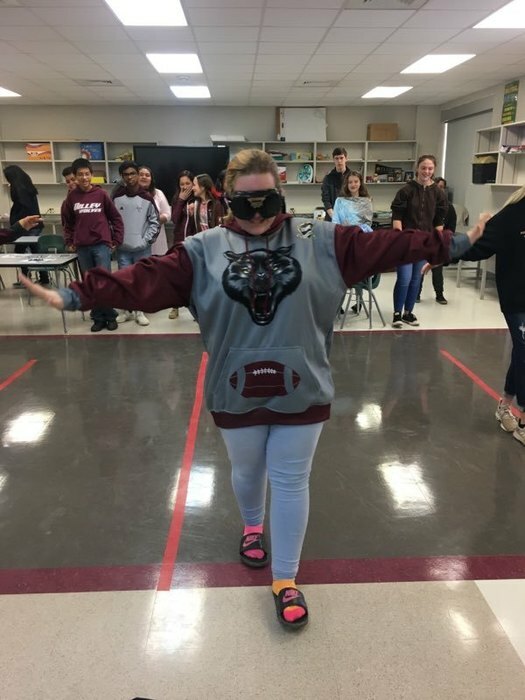 Meet the Wolves!!! 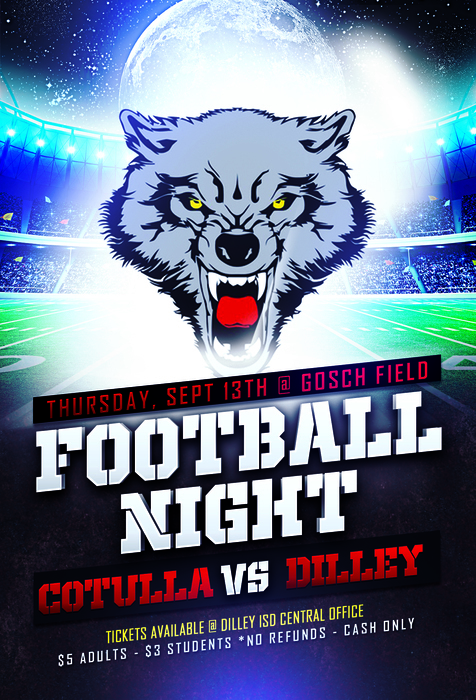 Wednesday August 22, 2018 7:30 pm Gosch Football Field Go Wolves Go!! 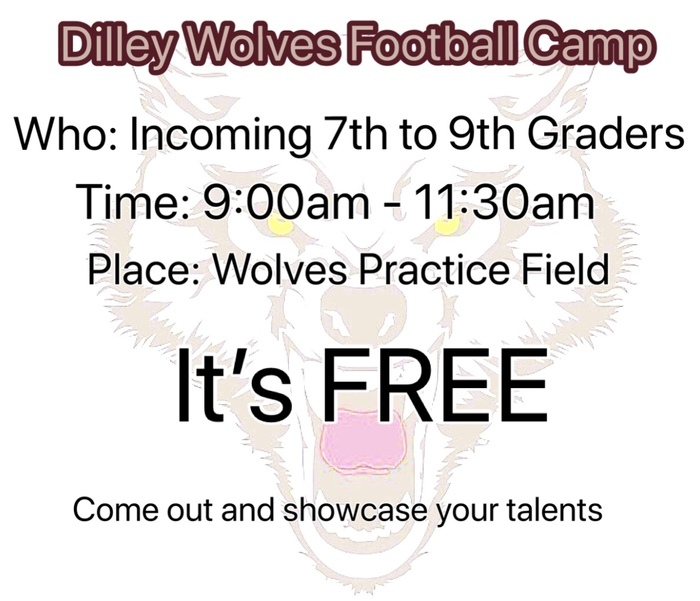 Wolves Football Camp For: Incoming 7th - 9th Graders Date: Tuesday, July 31, 2018 Time: 9a-11:30am Place: Practice Field No Fee, Come Out & Showcase Your Talent! 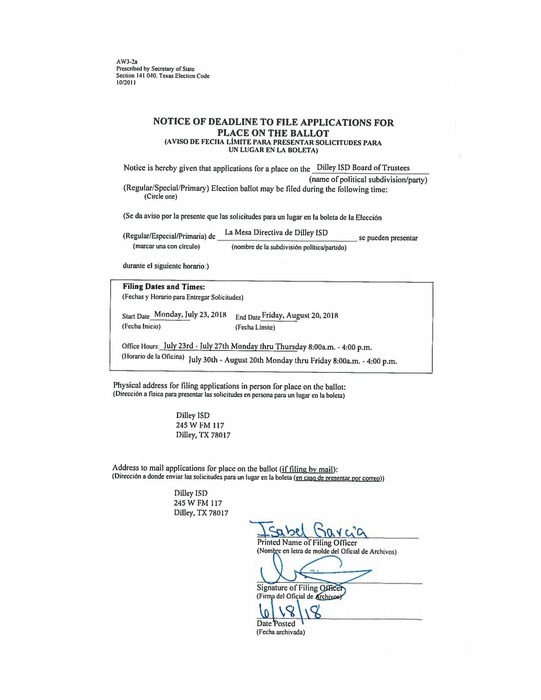 Notice of Candidate Filing Deadline. 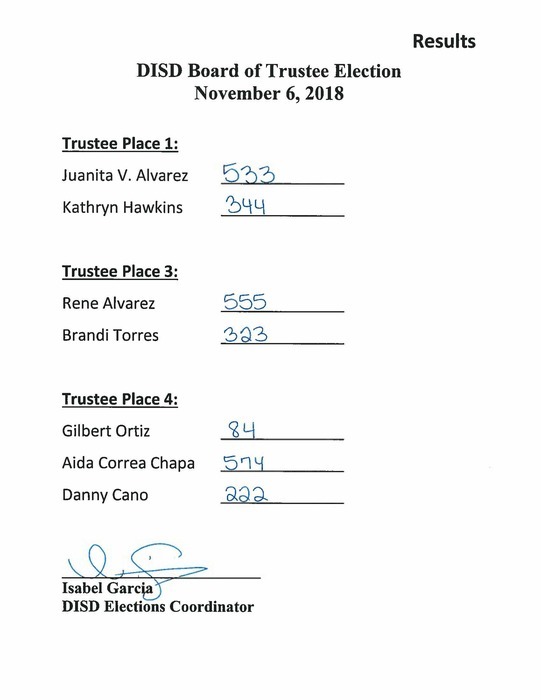 An election for Dilley ISD School Board Trustee positions #1, #3, and #4 (four year terms), will be held on Tuesday, November 6, 2018. 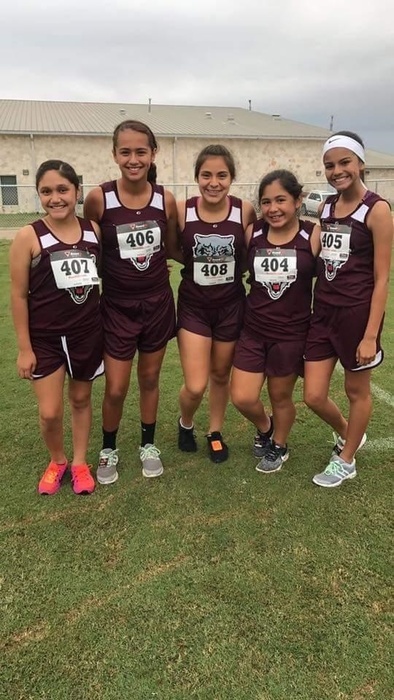 Those interested in running for election should sign up at the Dilley ISD Administration Office at 245 W FM 117 in Dilley, Texas, beginning July 23, 2018 through August 20, 2018. 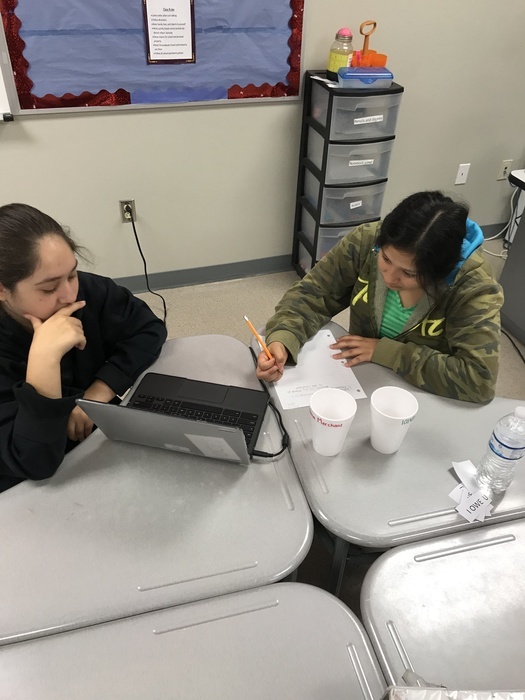 How to access student STAAR scores using access codes. 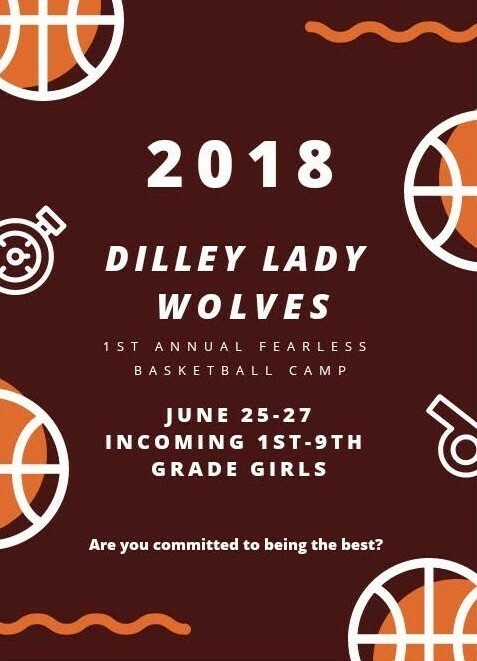 Dilley Lady Wolves 1st Annual Fearless Basketball Camp! In observance of the 4th of July Holiday, our offices will be closed from July 2nd - 6th. We will resume normal summer hours on July 9th. 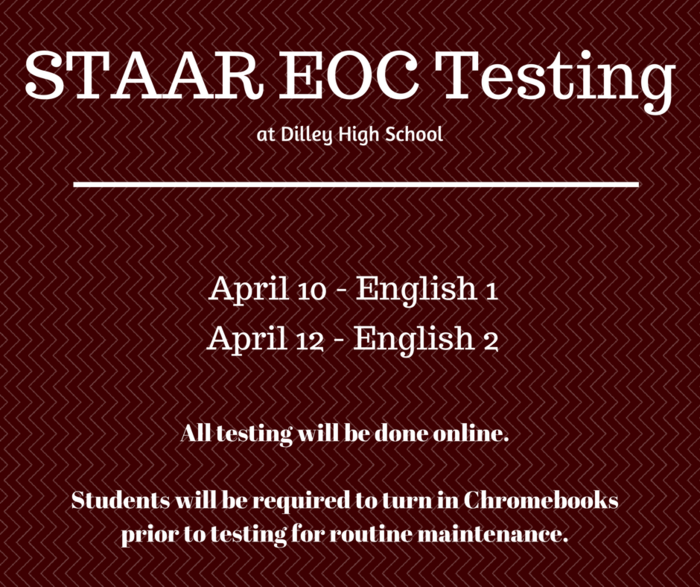 Dilley ISD's main phone line will be temporarily unavailable today from 3:00 - 4:00 p.m. due to scheduled maintenance. 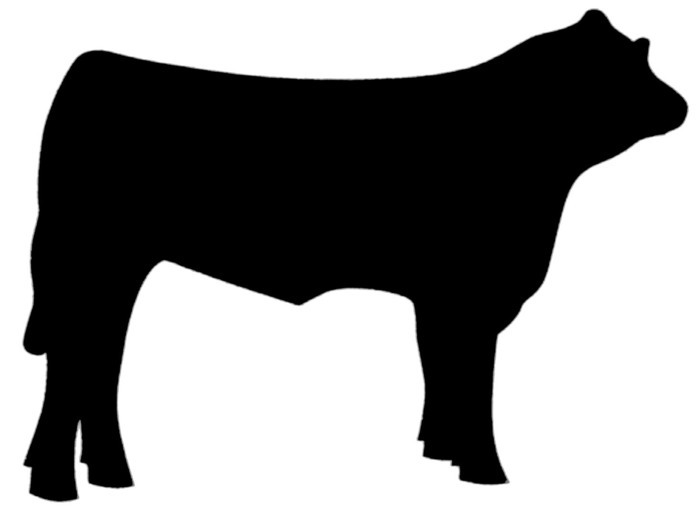 Attention Agricultural Students and Parents: Steer Validation is scheduled for June 27, 2018 at the Pearsall Vet Clinic from 8a-10a. 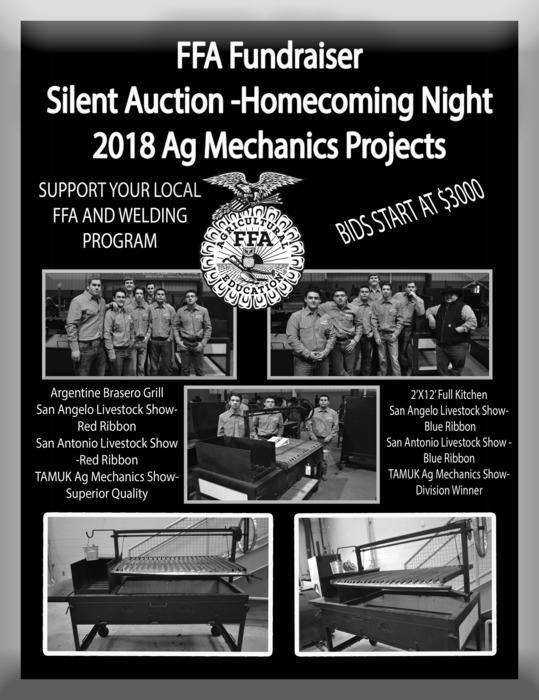 For any questions please contact Ag Teacher Delissa Crowe. 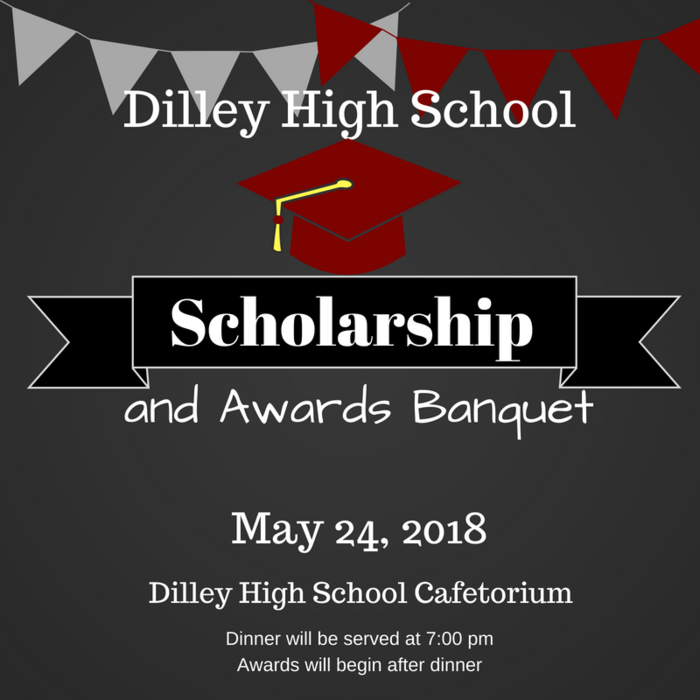 Dilley High School Scholarship and Awards Banquet Information. Congratulations to all the students for their achievements! 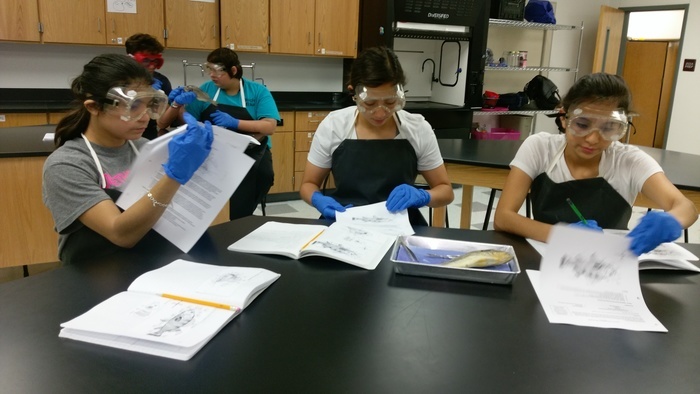 DHS Biology Students dissecting a fish! 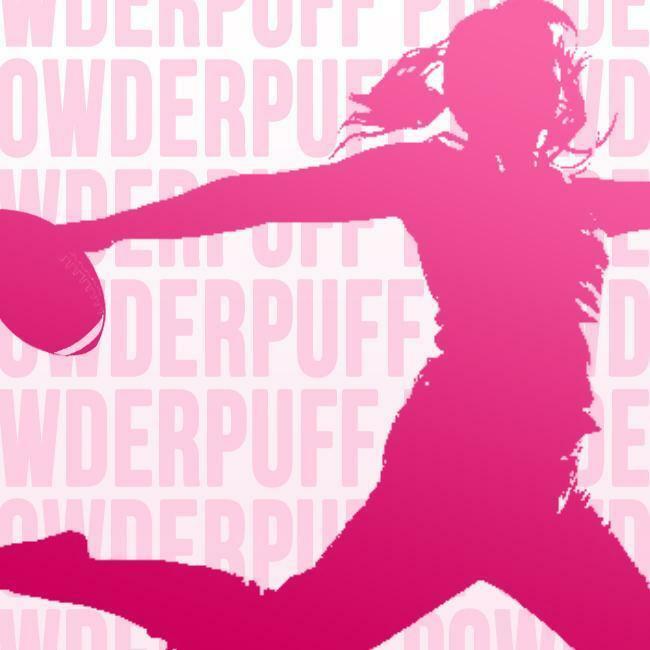 Powder Puff 2018 Tuesday, May 15th @ 3pm - Tickets on sale at DHS. $2.00 Presale, $3.00 gate! Come out & support the sophomore class! 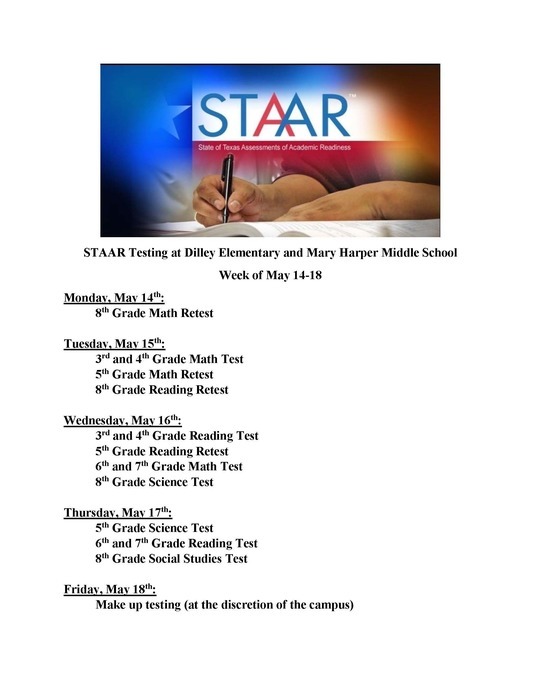 STAAR Testing for DES and MHMS. 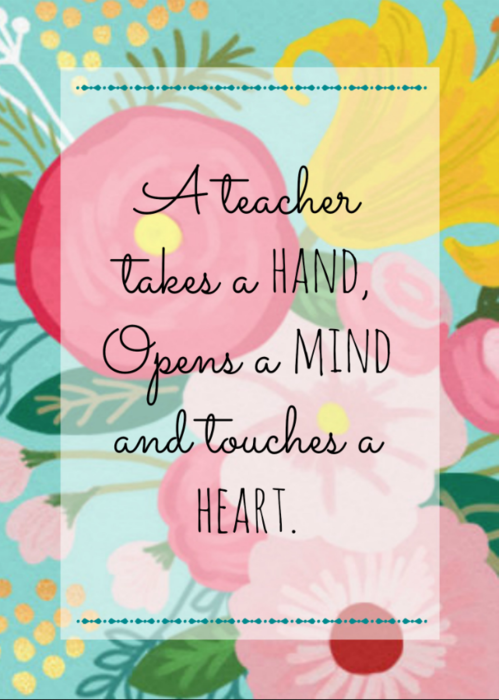 Thank you teachers for all the hard work that is given to the students day in and day out! Happy Teacher Appreciation Week!! 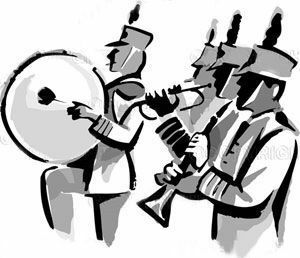 Next Dilley Band Booster Meeting will be on May 14, 2018 at 6:00 p.m. in the DHS Band Hall. 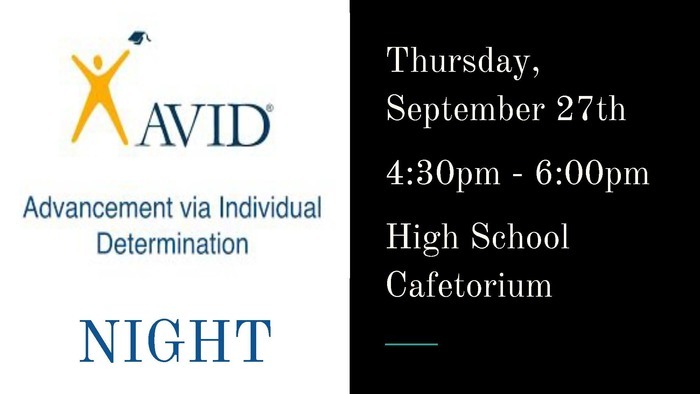 All parents of band members in grades 5th-11th are encouraged to attend. Hope to see you there! 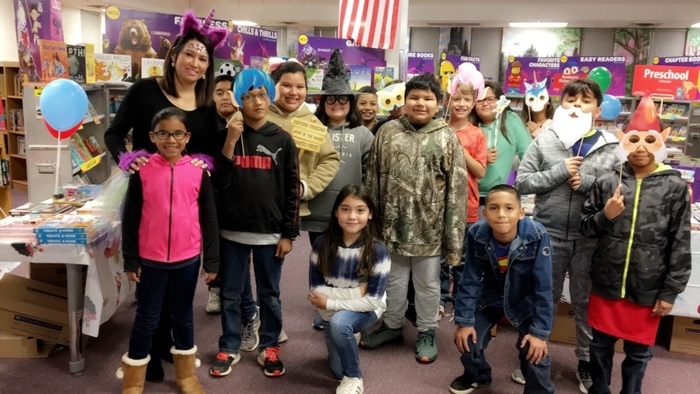 The Dilley Mighty Grey Wolf Band will have their annual Spring Concert on Tuesday, May 8, 2018 at 5:30 pm. in the DHS Cafeteria. Admission is free, all the community is invited! 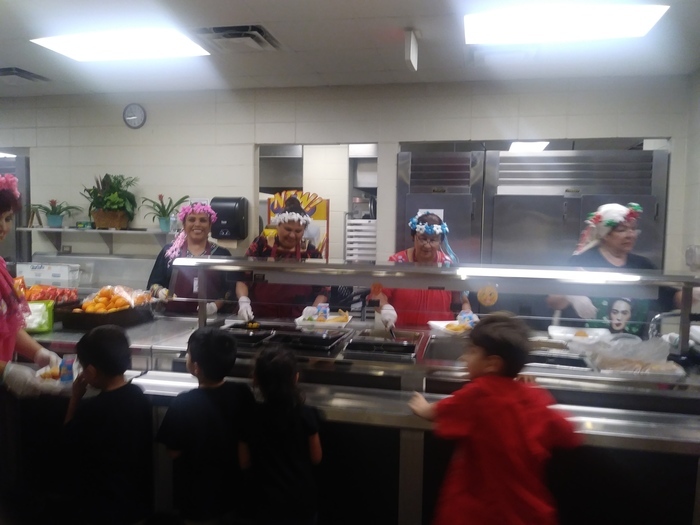 Our Cafeteria Staff in the Cinco de Mayo mood today. 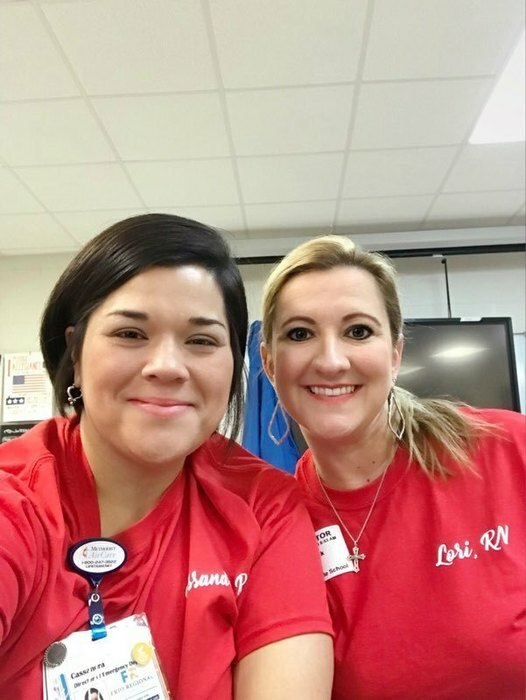 Thank you for all that you do! Decision Day - May 4, 2018 @9:30 a.m. Please join the class of 2018 as they announce their post graduate plans! MHMS GT Students enjoying their field trip to Johnson City on a Science Mill. 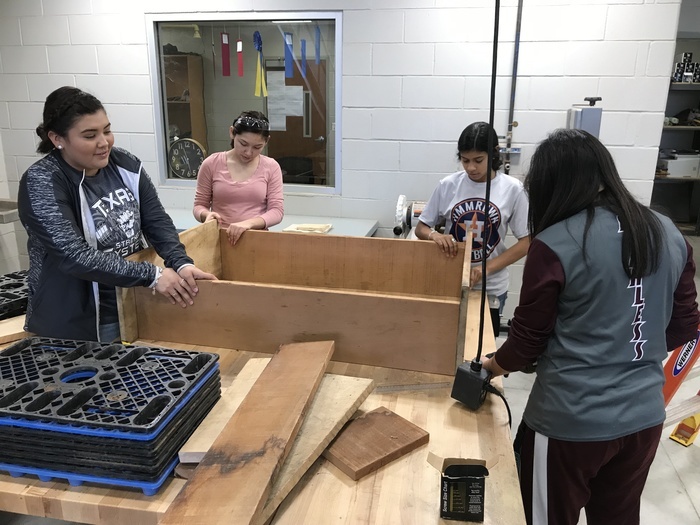 Dilley ISD is proud to announce and would like to congratulate the DHS Early College High School Students on earning a little short of 1,000 college hours this school year! We are very proud of you! Attention Parents all are invited to a presentation given by Communities in Schools tonight at 5 p.m. Hope to see you there! 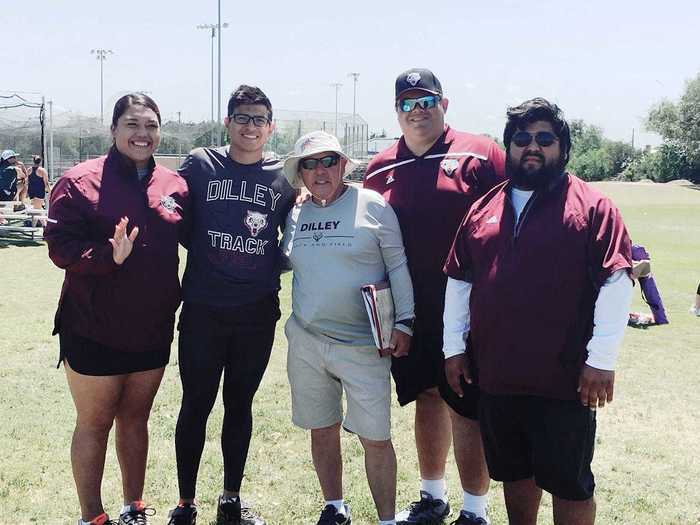 Congratulations Scottie Reyes, Area Champion in both Shotput and Discus, and to all the Athletes that competed! 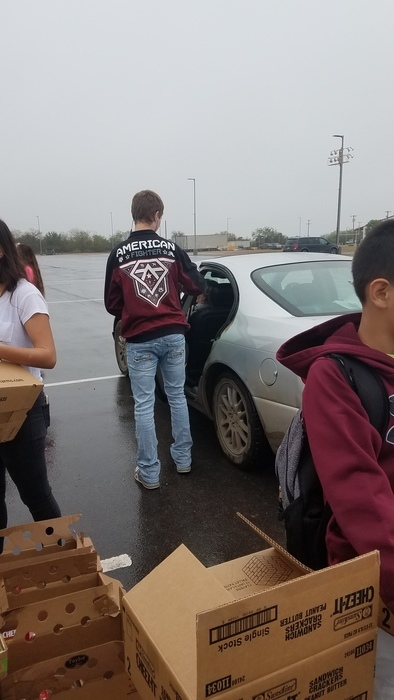 Communities in Schools and Dilley ISD is currently hosting a Community Mobile Food Pantry today at the Football Parking lot behind the HS until 1 p.m. Vouchers not needed. 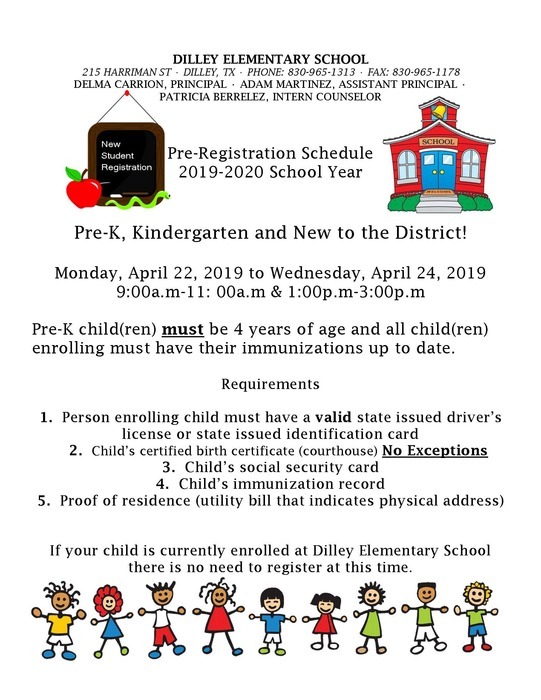 Dilley Elementary Pre-Registration for the 2018-19 School year! 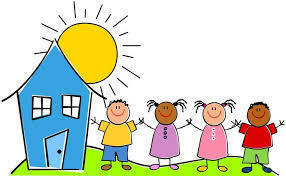 Attention Parents, Reminder that today is an early release day at 12:30 p.m. Please make arrangements to pick up your child(ren). Bus routes will run at this time as well. Have a great spring break! 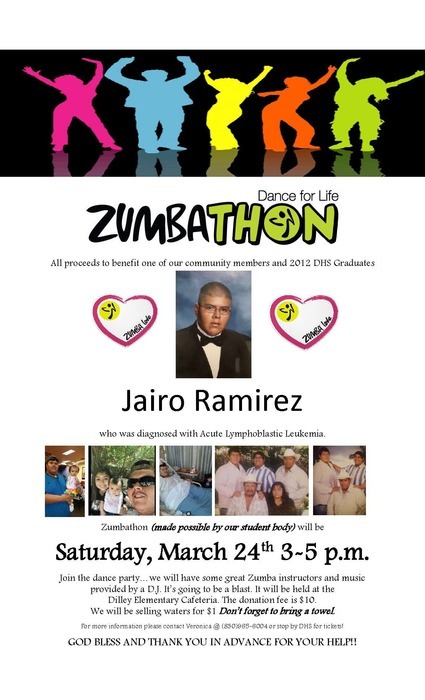 Come out and join us for the Zumbathon Benefit for Jairo Ramirez! 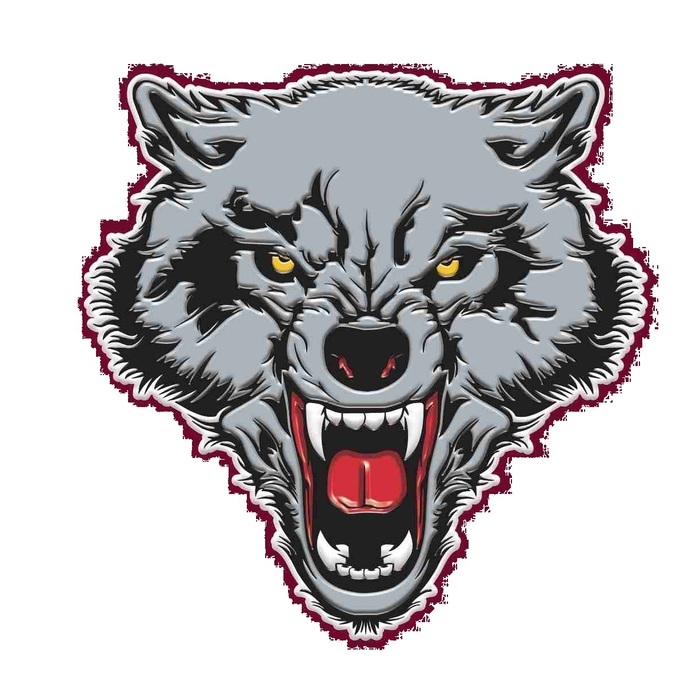 Dilley Wolves JV Baseball Tournament has been cancelled due to wet field conditions. Thank you for all the support! Attention MS Parents: All Valentine's Day deliveries will be held in the main office for students until the end of 8th period. 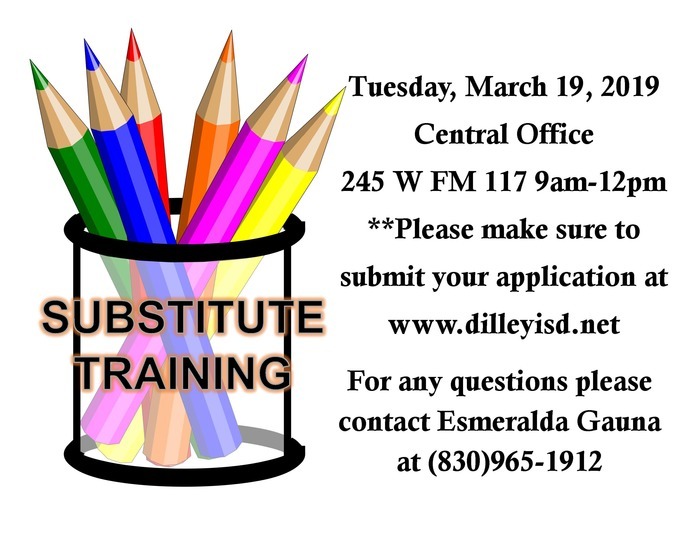 Next Substitute Training is scheduled for Thursday, February 8, 2018 from 9a-12p at the Administration Office. 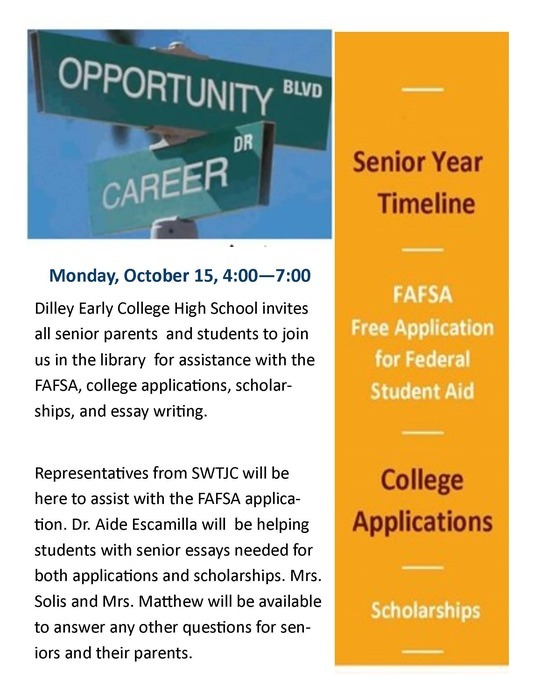 Please make sure you apply at www.dilleyisd.net, click on the Employment Opportunities tab. Correction on MS boys/girls basketball game The January 25th game for the MS boys/girls basketball has been rescheduled to Monday January 22, 2018. 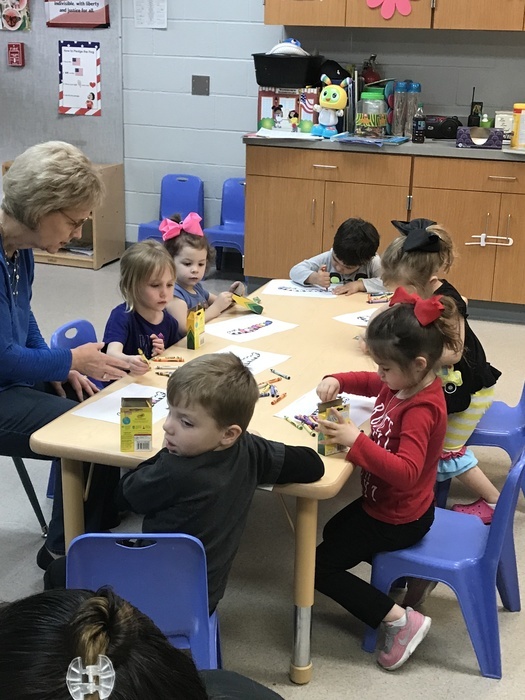 Attention Dilley ISD Community: Classes will resume tomorrow, January 17th at the regular scheduled times. Stay warm and have a safe night. 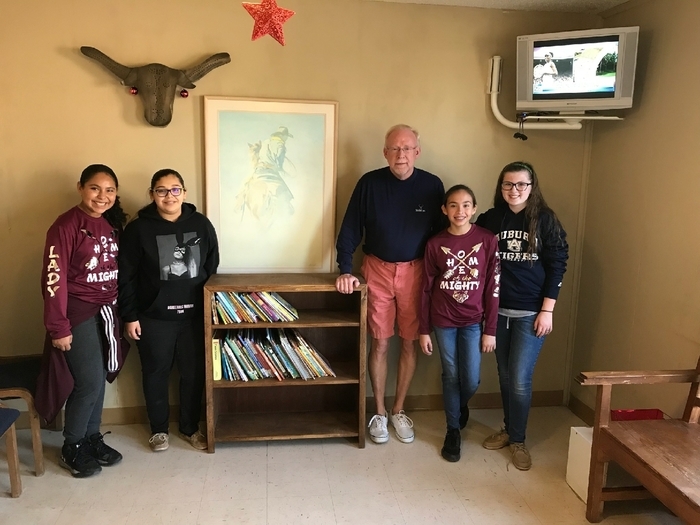 NJHS donated bookshelves to Little Pups Daycare and to local dentist, Dr. Cliff Watkins. 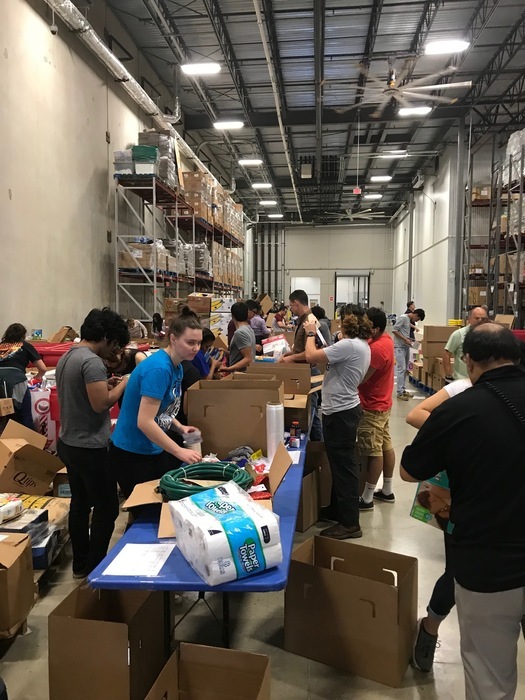 The Mobile Food Pantry was a success! Thank you to all who helped with the delivery! 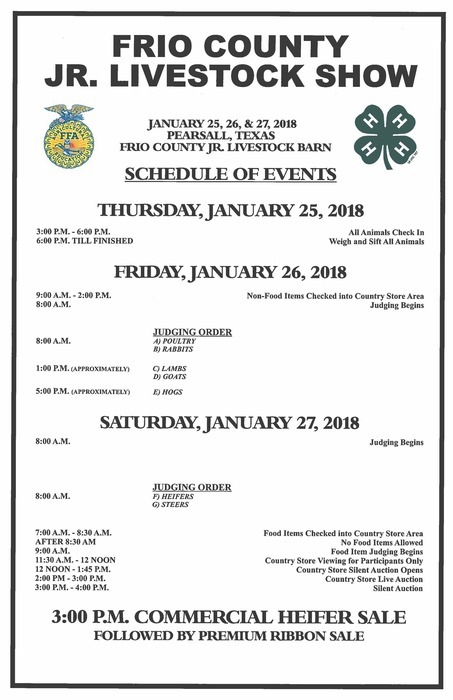 Frio County Jr. Livestock Show Information. 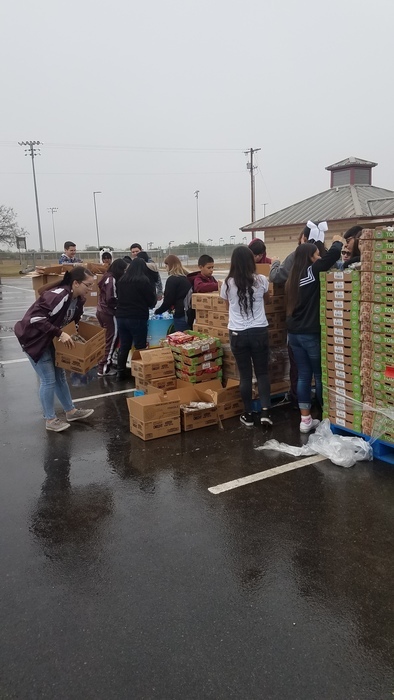 Dilley ISD and Communities in Schools are hosting a mobile food pantry on Tuesday, December 19, 2017 at the Gosch Field parking lot from 10:30a-12:30p. All are welcome! 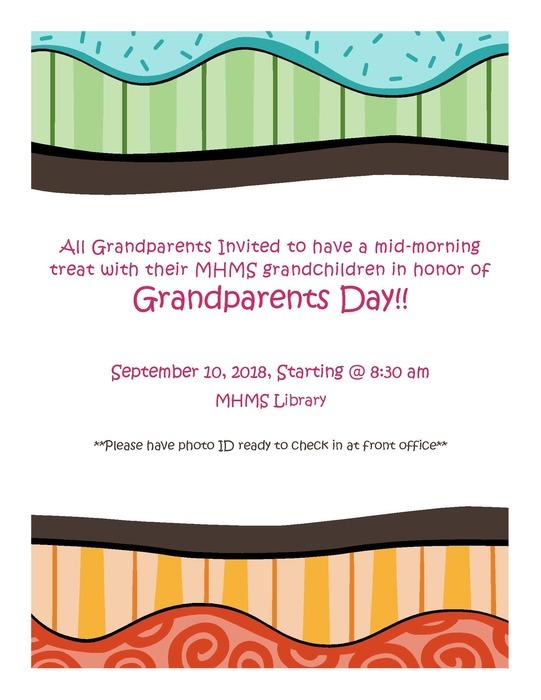 Please join us for the new MHMS Grand Opening!! 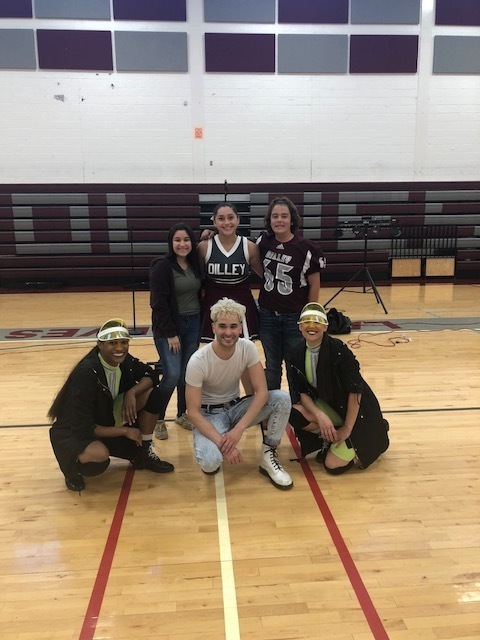 Attention Dilley ISD Community: Today's Girls Basketball Games have been cancelled. For any questions, contact the Athletic Department. Want to listen to the Playoff Game live? Click on the link below, Pre-game is at 7:00pm & Approximate Start Time is 7:30pm. 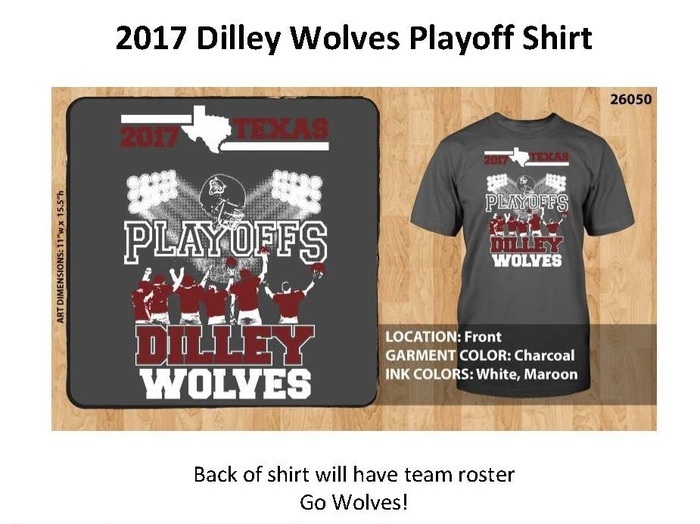 http://tsrnsports.com/scoreboard/hebbronville-vs-dilley/ Go Wolves Go! 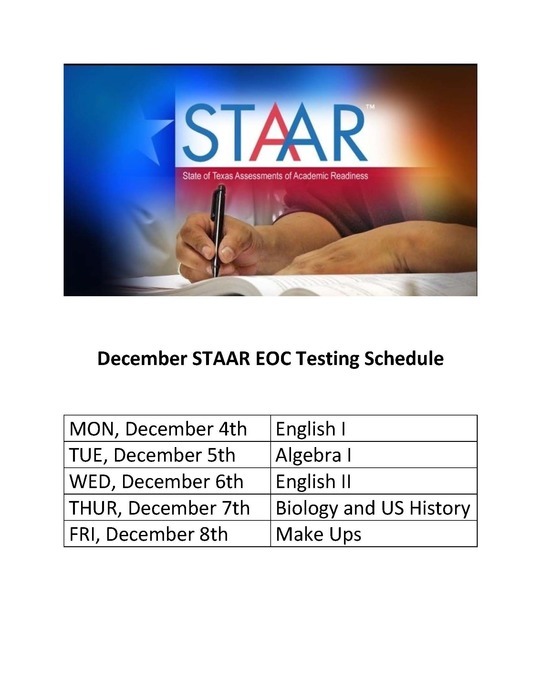 December STAAR EOC Testing Schedule. 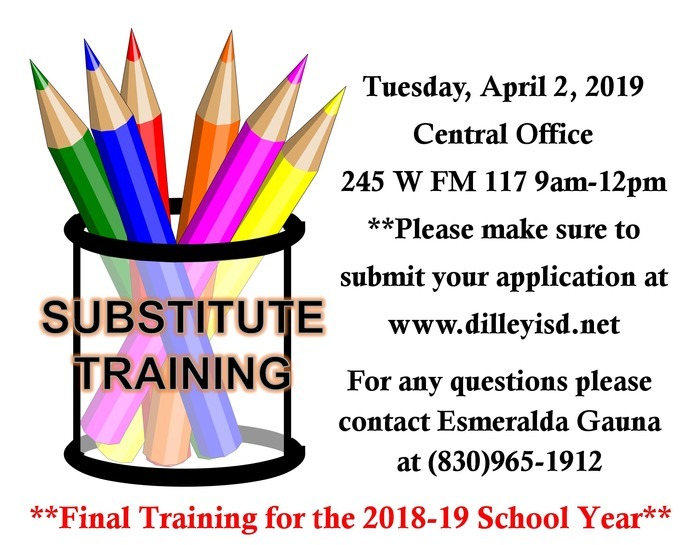 Next Substitute Training will be on December 7, 2017 from 9a-12p at the Administration Office 245 W FM 117 Please make sure you apply at www.dilleyisd.net. 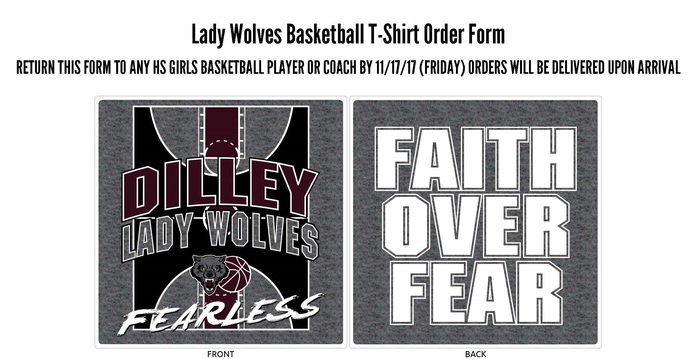 Lady Wolves Basketball Team will be selling T-shirts. $15 each both youth and adult sizes. 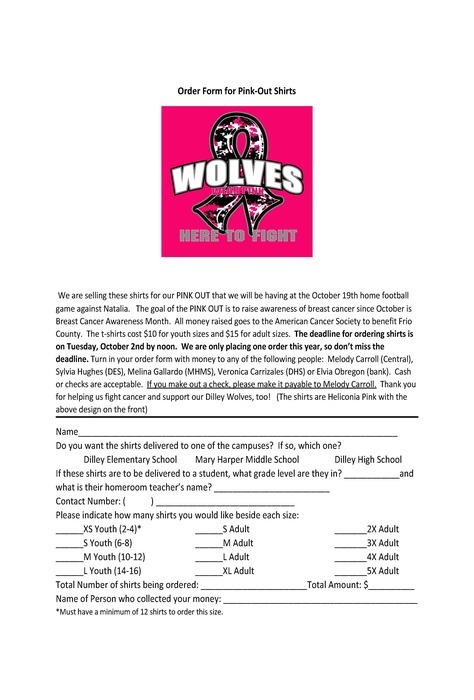 Money is due Friday, November 17th. 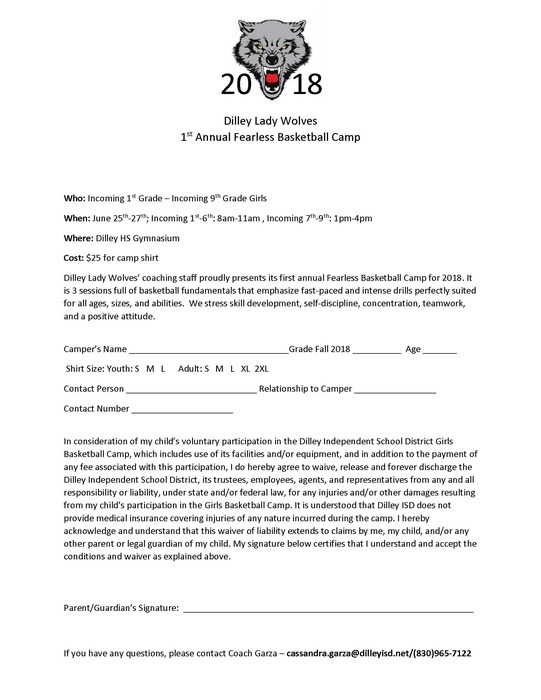 Payment can be turned into any DHS girls basketball player or coach. 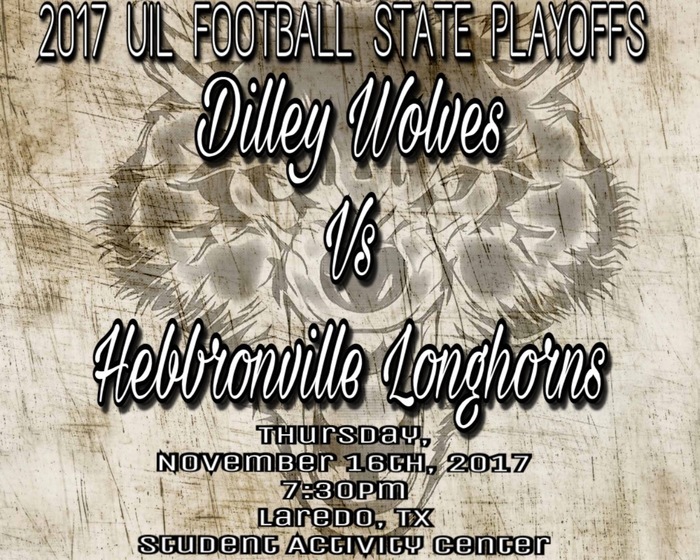 Bi-District Playoff Game Dilley Wolves vs. Hebbronville Longhorns 7:30 p.m. on Thursday, November 16th Laredo Student Activity Center 5208 Santa Claudia Lane Gate Pricing: $6 adults, $4 kids Approved Passes: District, THSCA, TGCA, and Gold Cards Wolves will be the visiting team. GO WOLVES GO!! 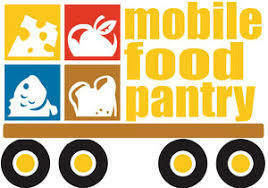 Communities in Schools and Dilley ISD will host a Community Mobile Food Pantry on Nov. 10, 2017, at the MHMS parking lot from 9:30-11:30 AM. 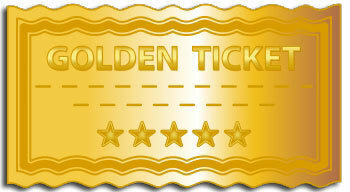 Vouchers not needed. 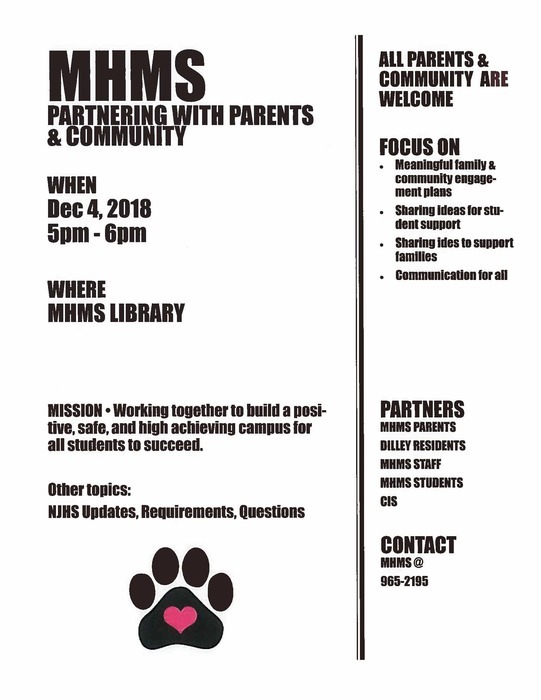 Contact MHMS for any questions. 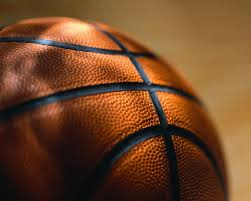 Attention MS Students and Parents: All Middle School Basketball Games for November 16th against George West have been cancelled for both boys and girls. Friday Night Lights! Parents Night! Go Wolves Go! 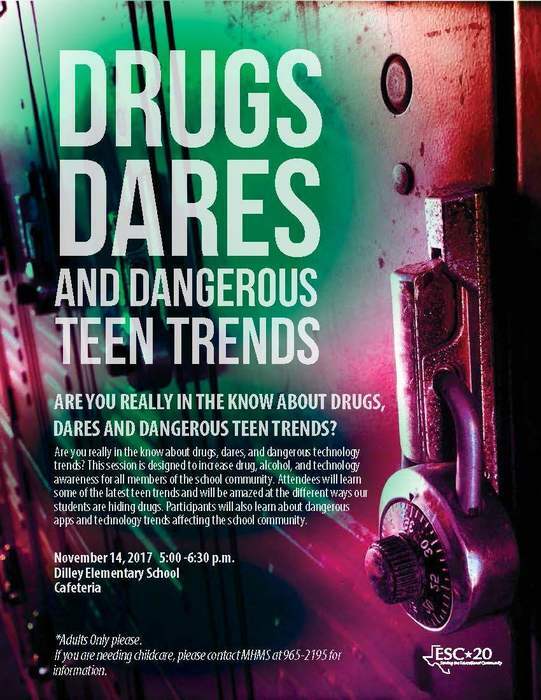 Drug Dares and Dangerous Teen Trends Information Meeting. It's Burger Time! Support the Dilley FFA Brown Bag Special $6 - hamburger, chips, & a drink. November 10th @ DHS CTE Building from 5-7:00 pm - Pickup N'Go! Next Substitute Training will be on November 9, 2017 from 9a-12p. 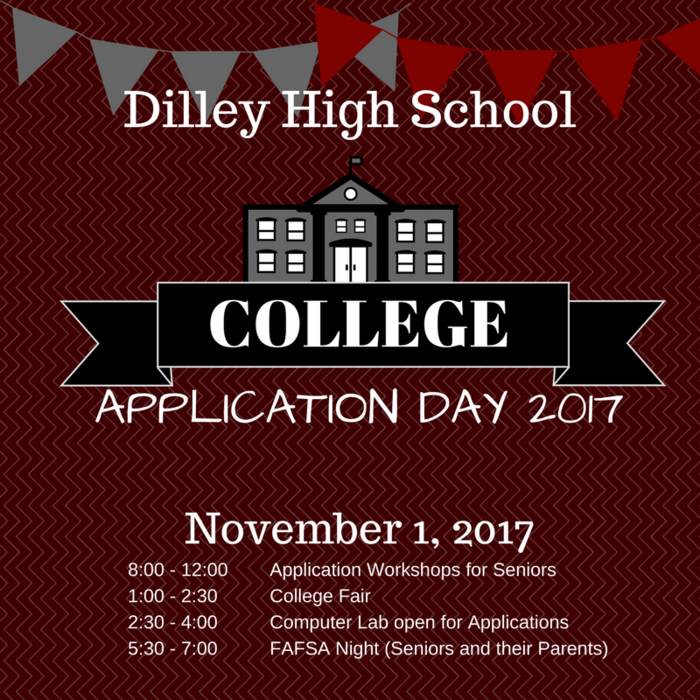 Please make sure you apply at www.dilleyisd.net. 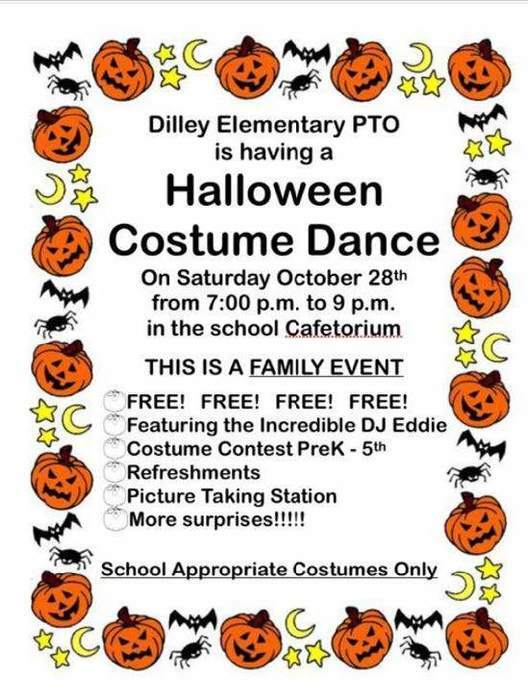 Elementary PTO will be having a Halloween Costume Dance. FREE FREE FREE! 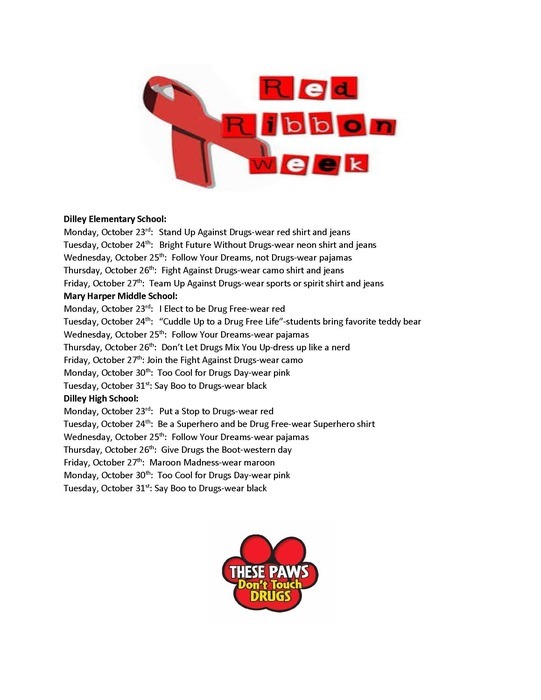 Attention Dilley ISD Community Tomorrow the MHMS will have a Red Ribbon Rally at the DES gym. The parking lot on W. Curtis street will be closed except for drop off/pick up. Emergency vehicles will be present during the day and there will be periodic road closures. For any questions or concerns, please contact the middle school. Parent Meeting for MS and HS Girls Basketball Athletes on Monday, October 16th at 6pm in the HS Cafeteria. Please make plans to attend! Please come out to the UIL Marching Contest on Saturday, Oct 14th at the Hondo ISD Stadium to support the Mighty Grey Wolf Band. Performance time - 3:00 p.m. GO BAND! 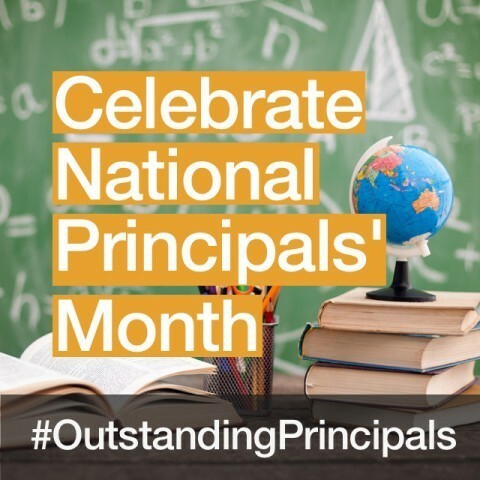 October is National Principals Month! 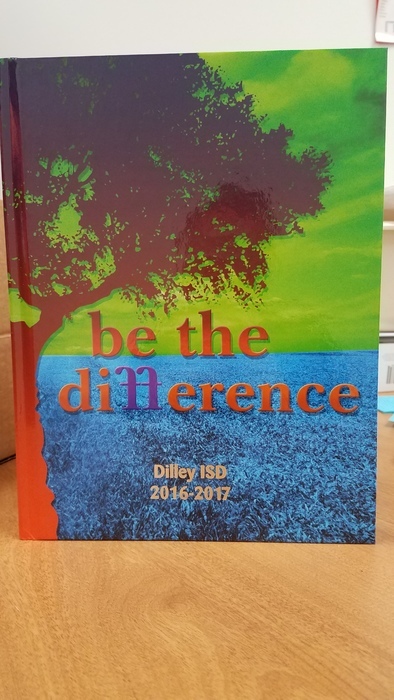 Dilley ISD would like to thank the campus principals for their hard work towards students' education and success. MHMS Football games for Thursday, Oct. 5th will be in Dilley. 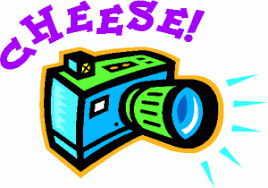 7th Grade at 5:00 p.m. & 8th Grade at 6:30 p.m. For any questions, please contact the Athletic Director. 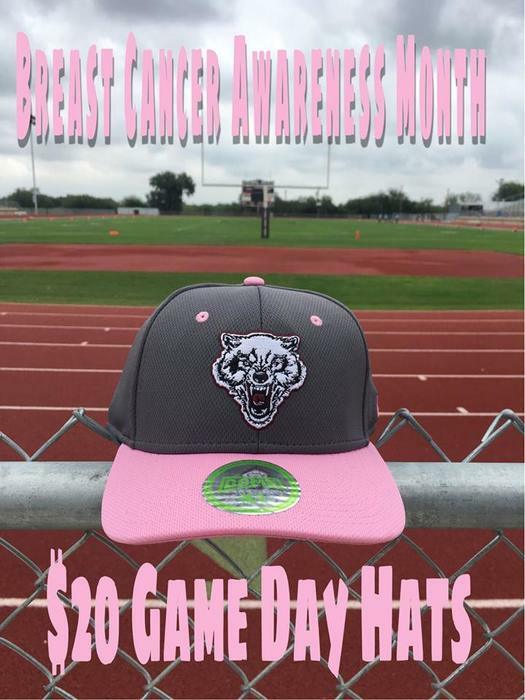 The Wolves Athletic Department will be selling these hats tonight for the month of October. 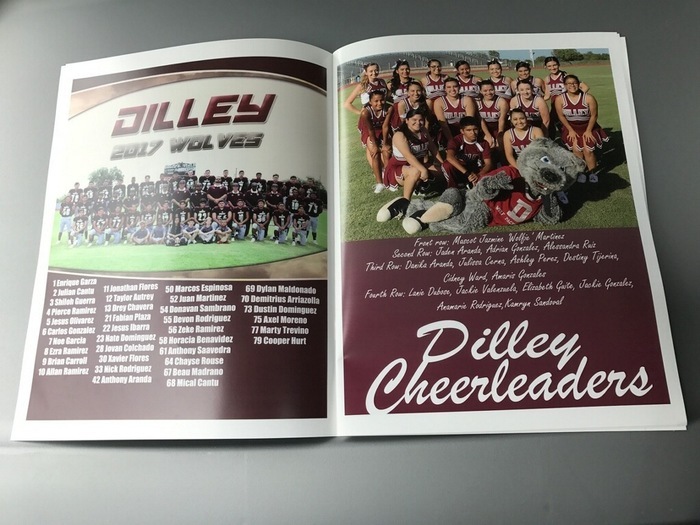 DHS Cheerleaders will be selling football programs for $10 at tonight's game. 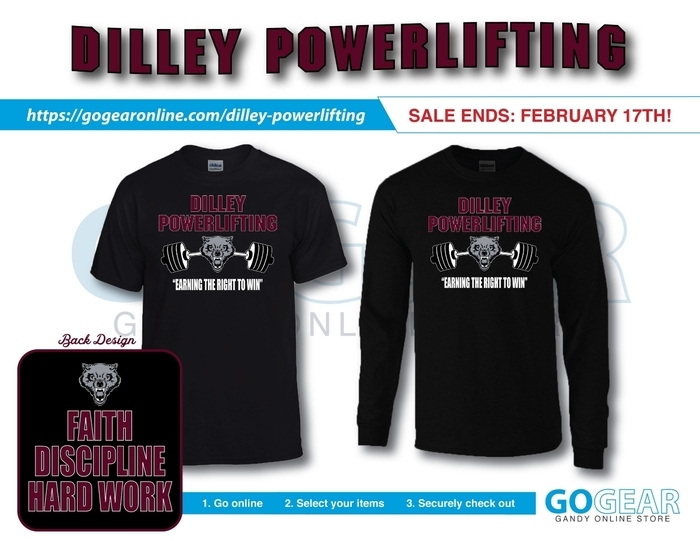 Please support the students of Dilley ISD!